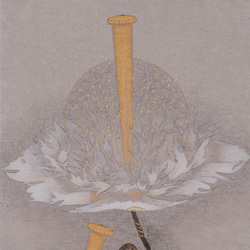 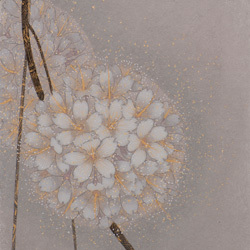 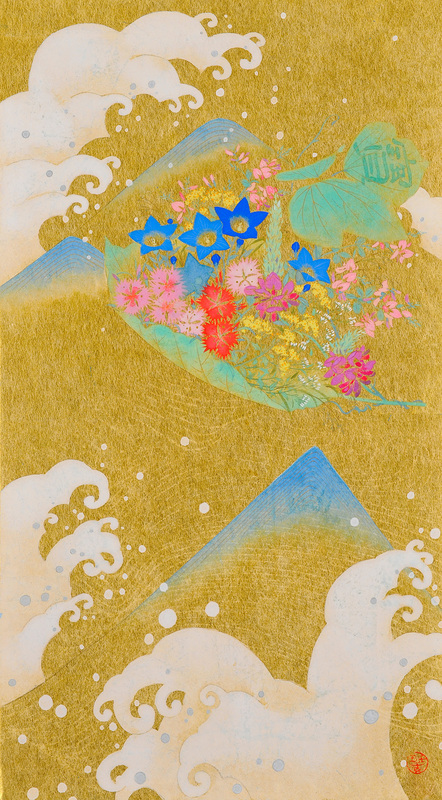 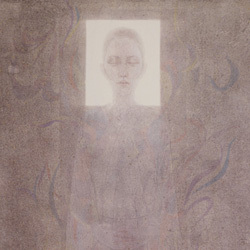 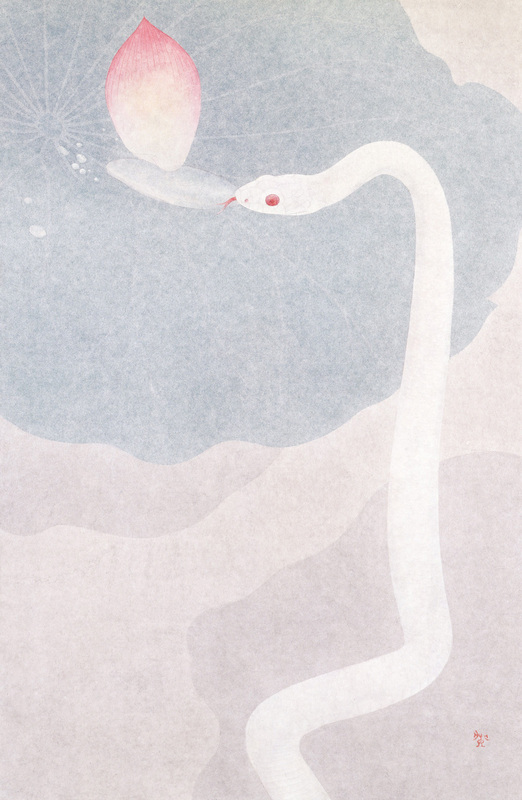 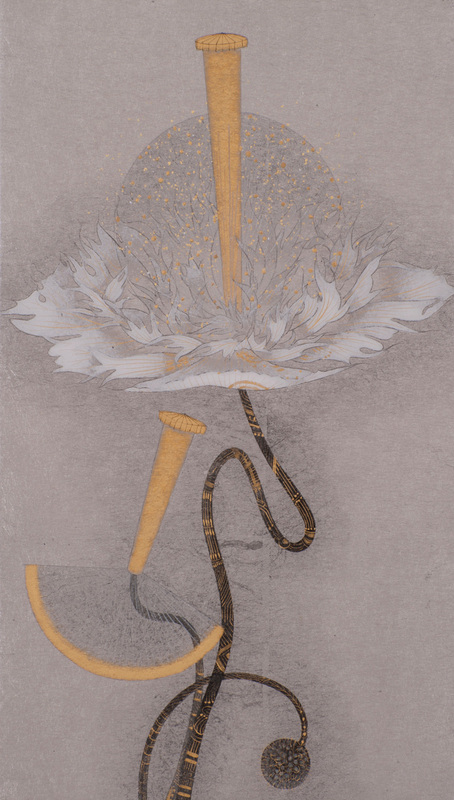 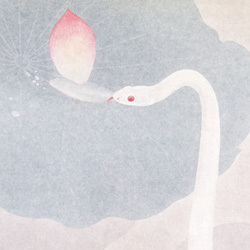 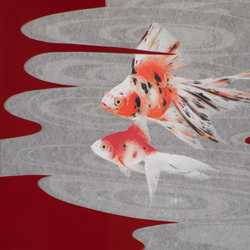 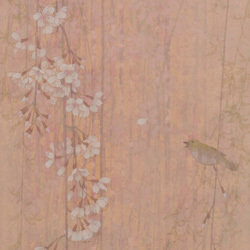 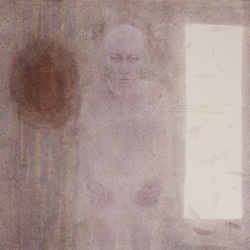 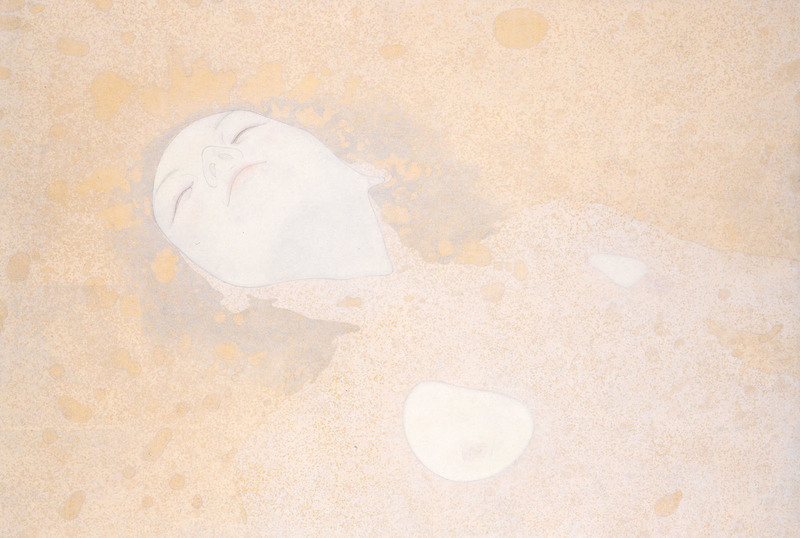 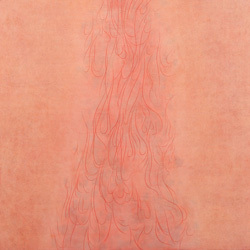 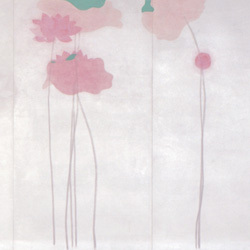 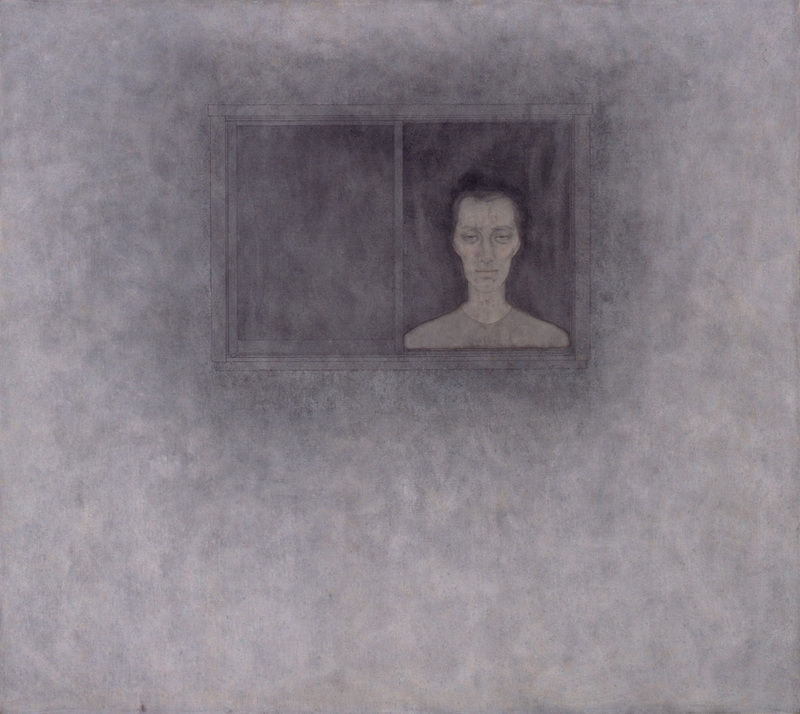 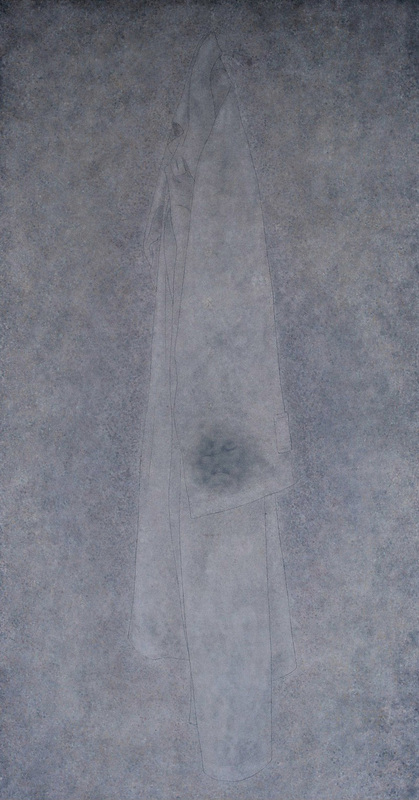 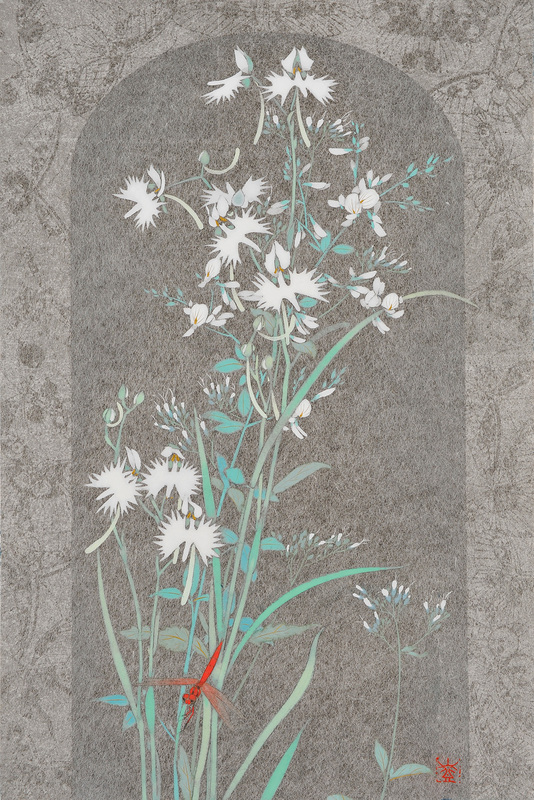 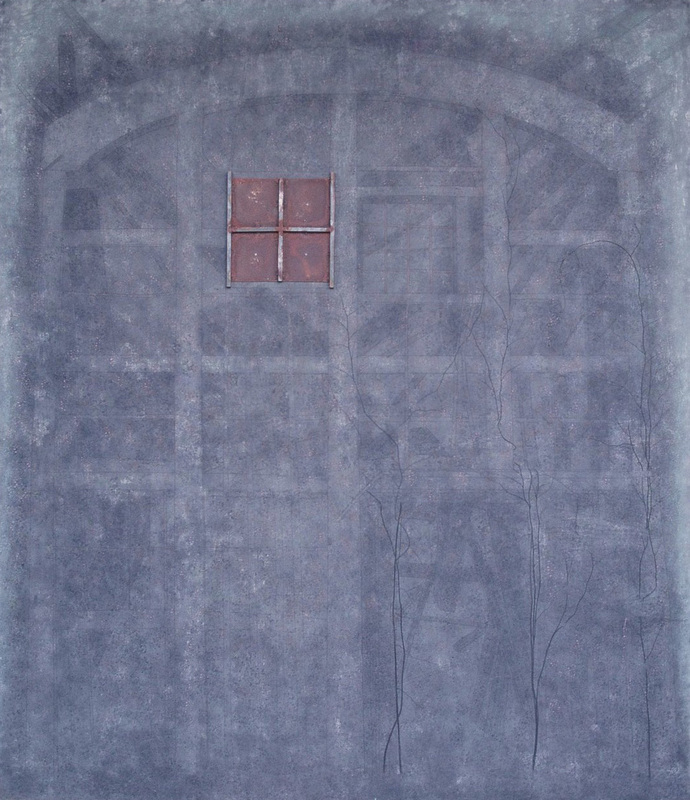 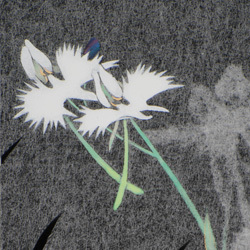 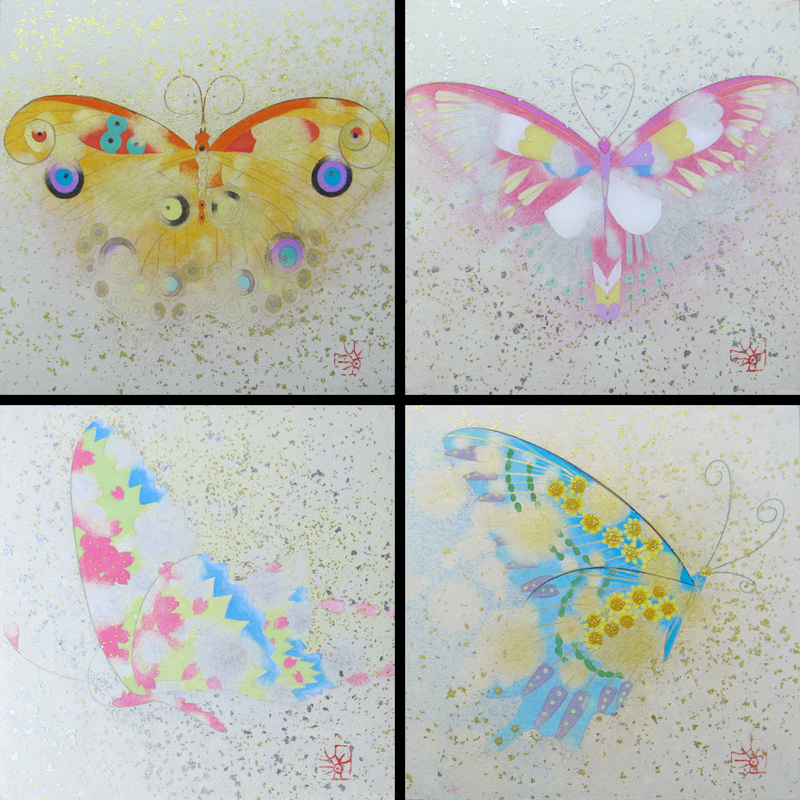 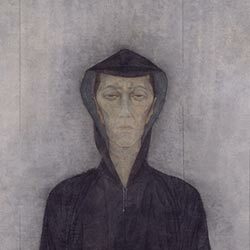 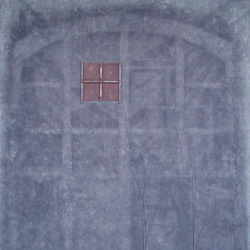 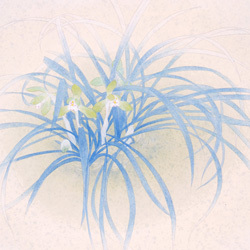 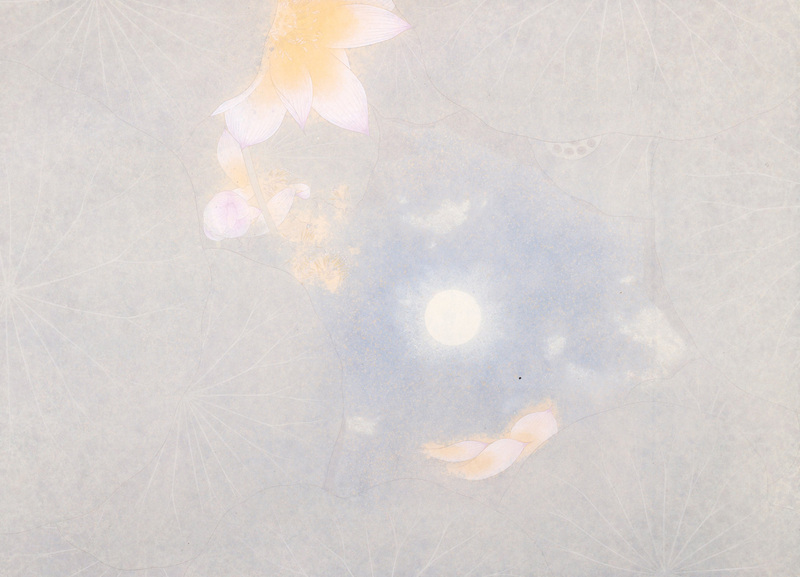 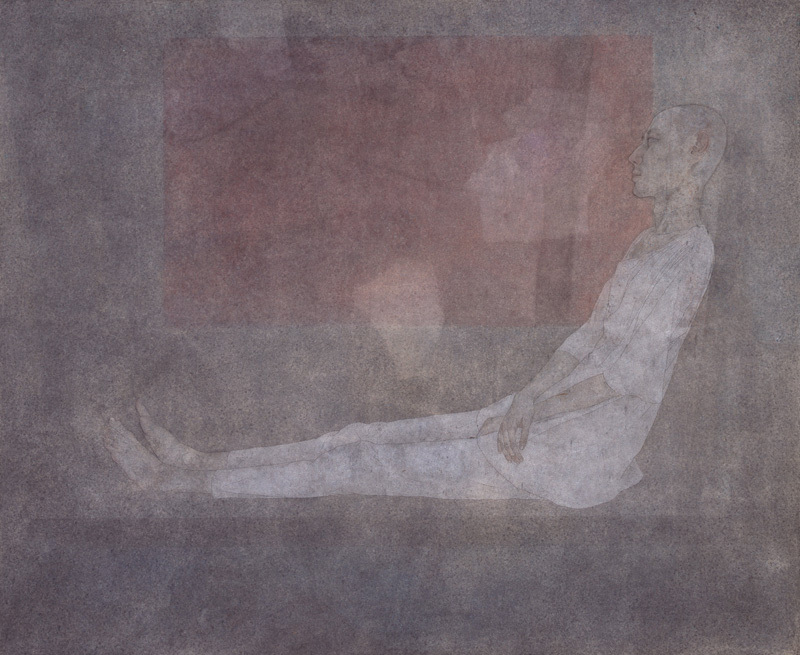 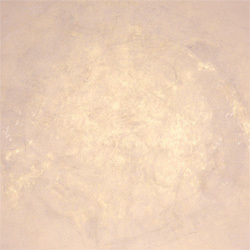 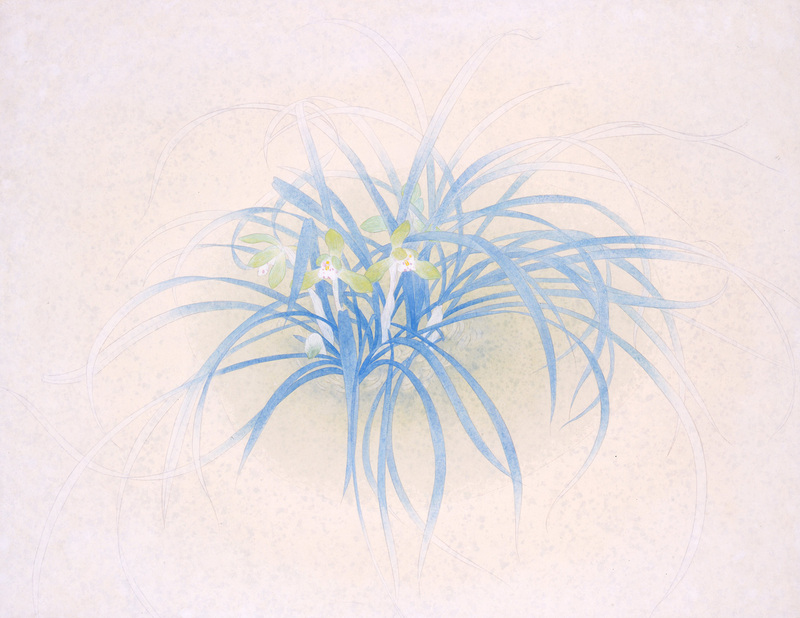 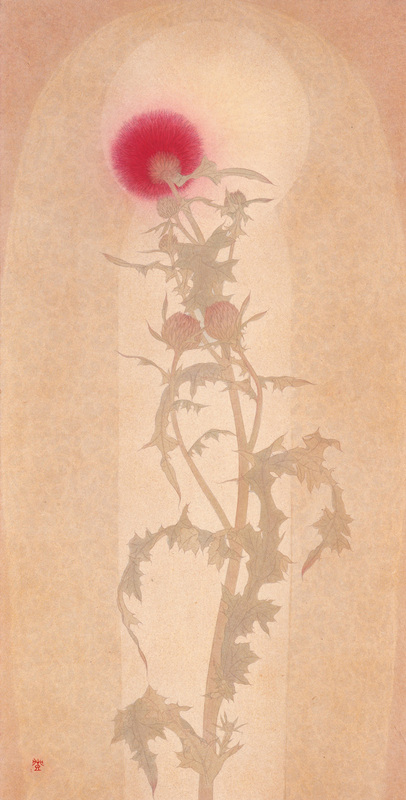 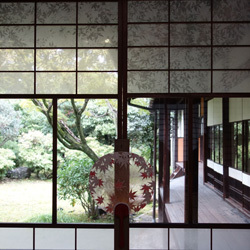 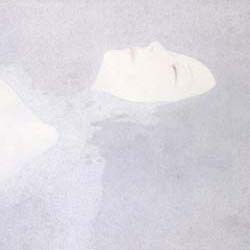 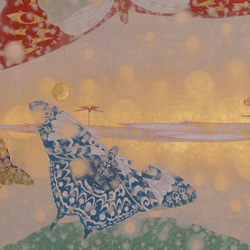 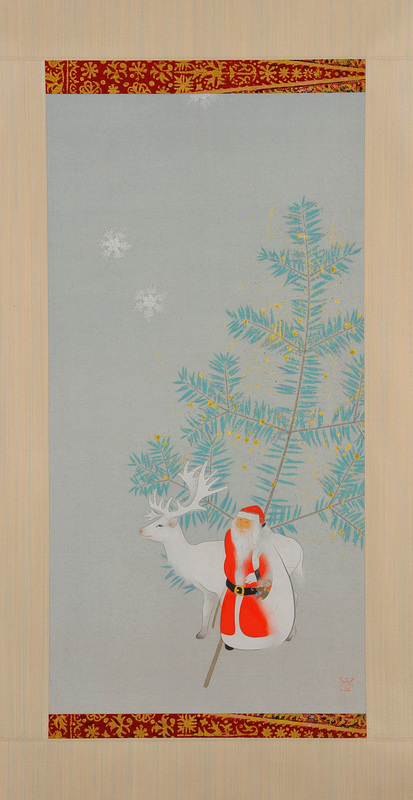 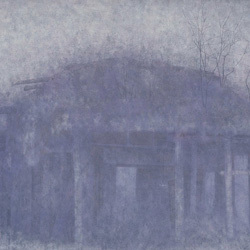 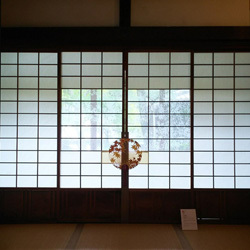 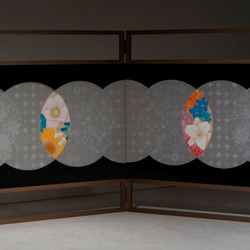 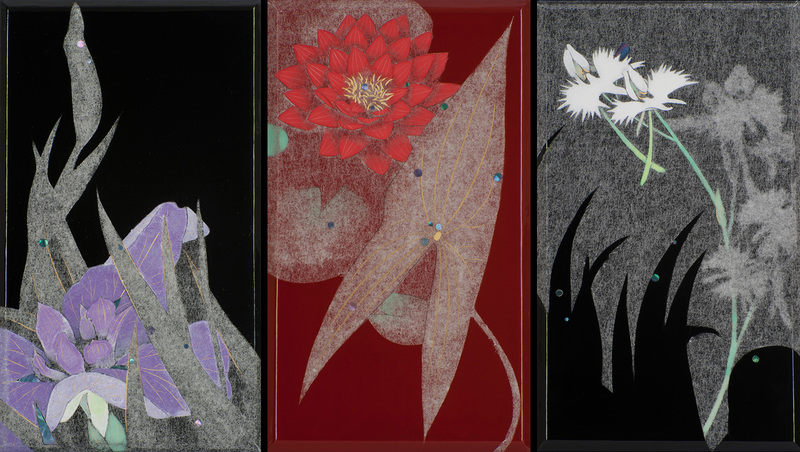 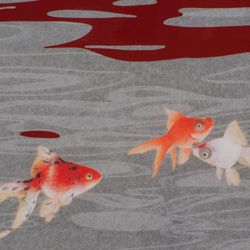 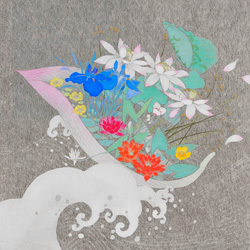 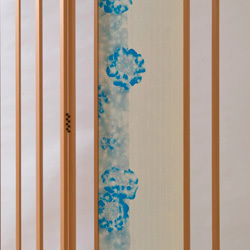 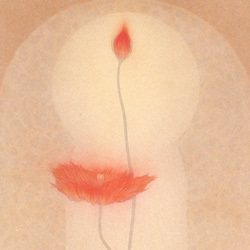 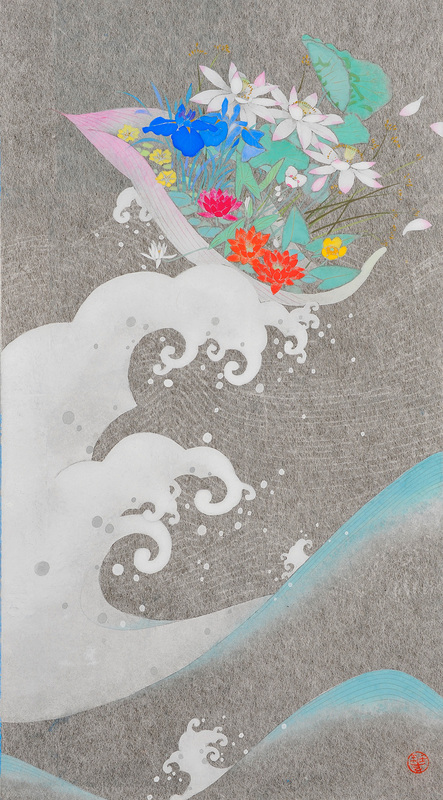 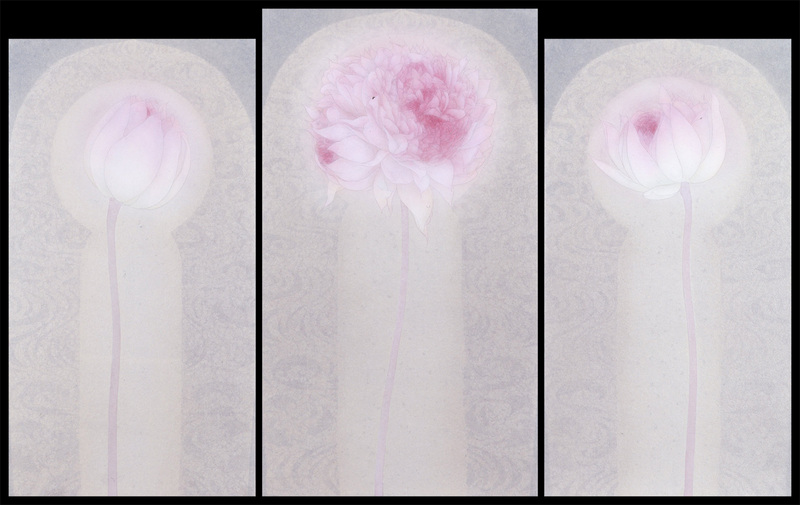 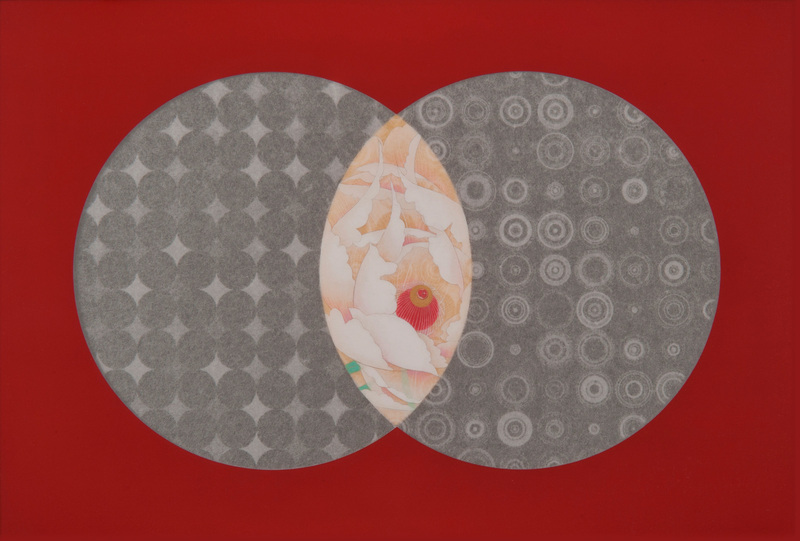 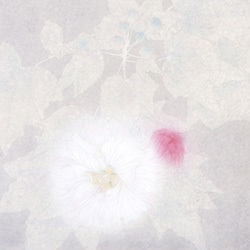 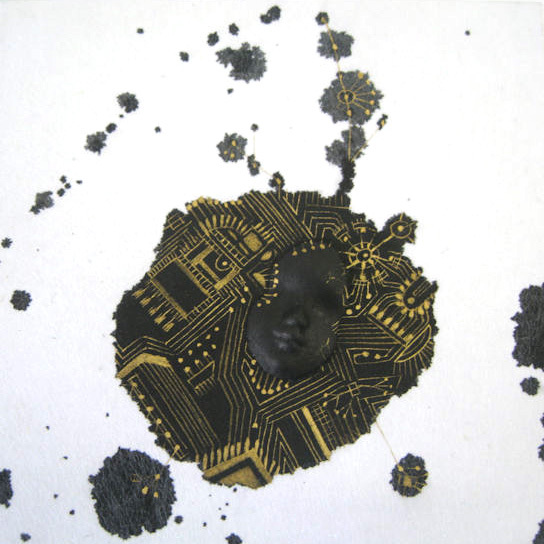 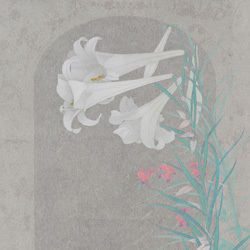 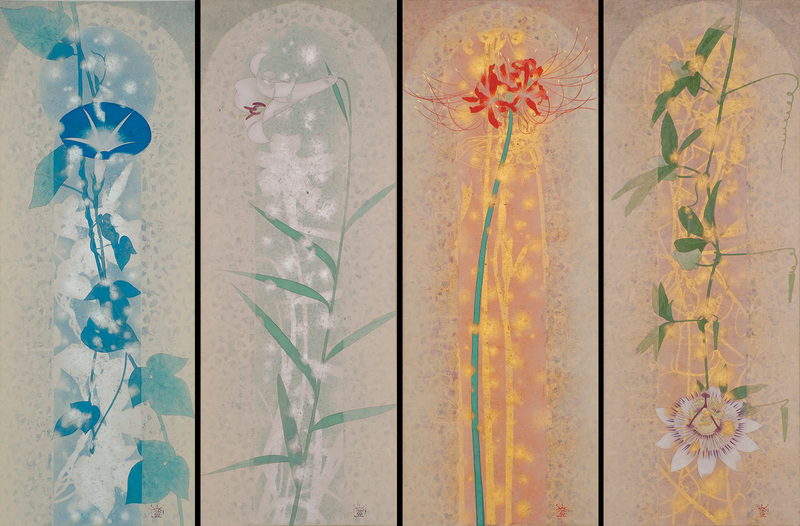 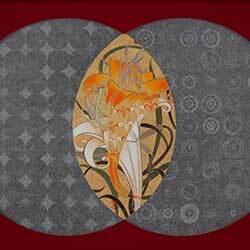 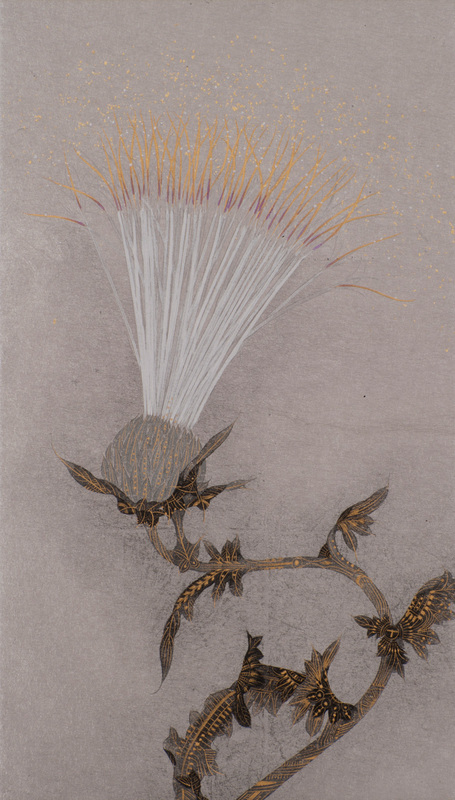 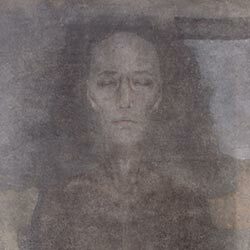 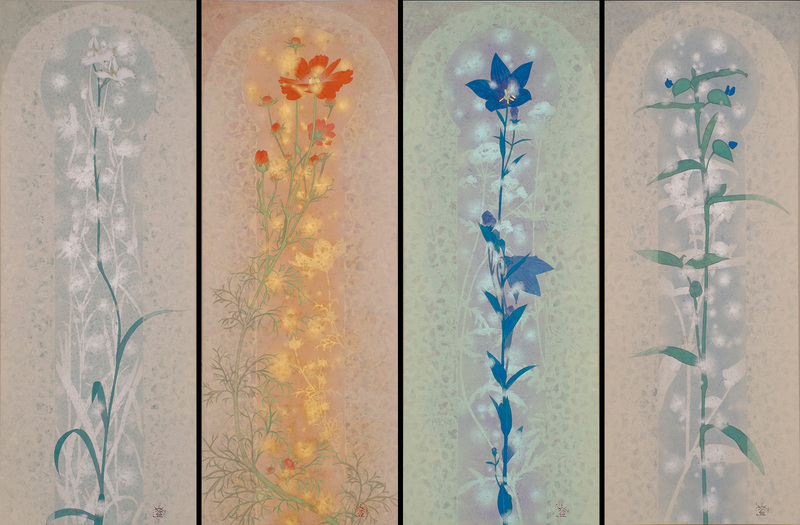 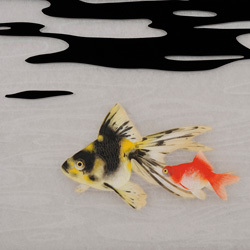 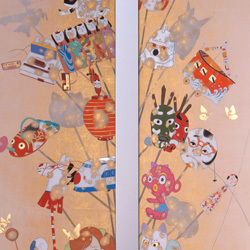 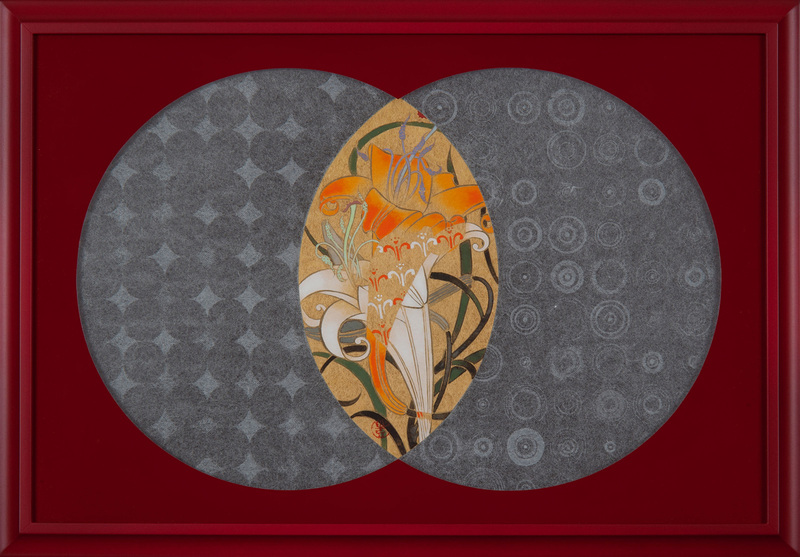 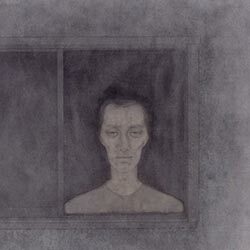 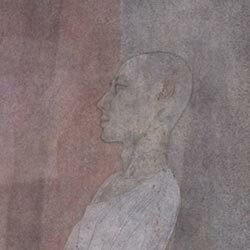 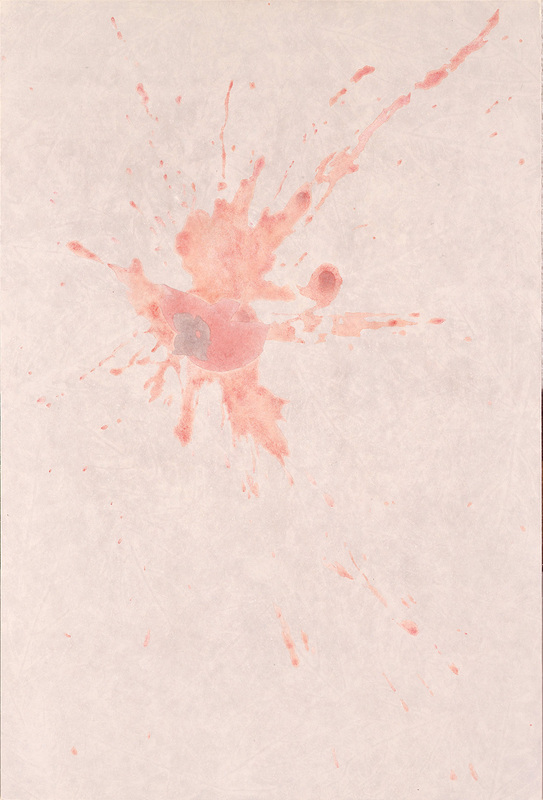 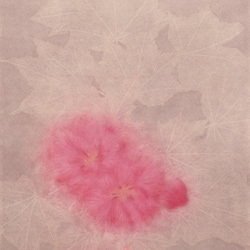 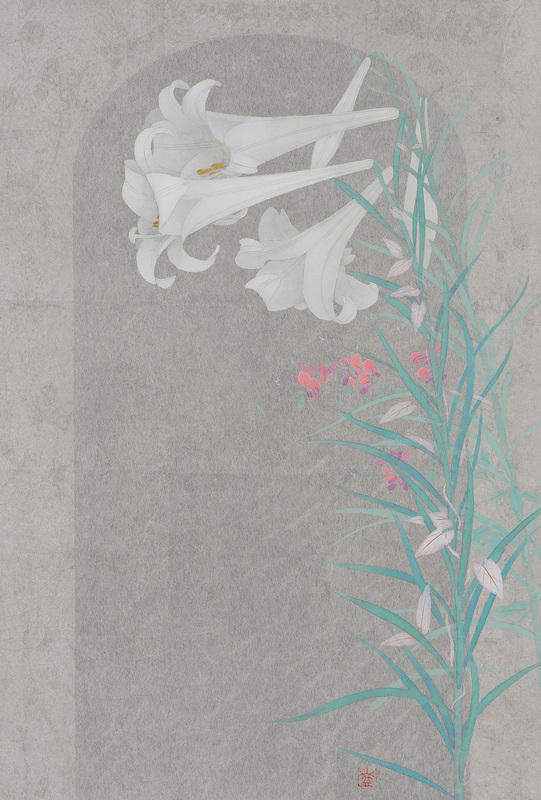 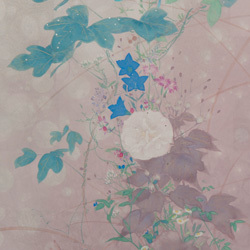 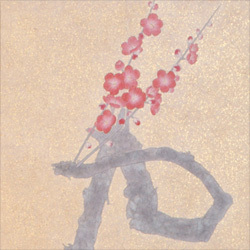 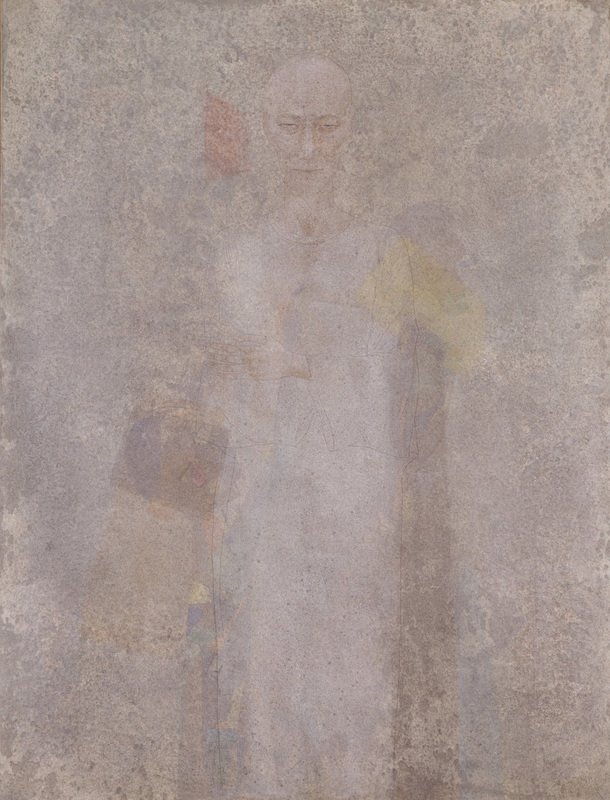 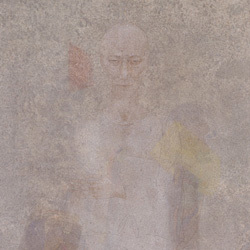 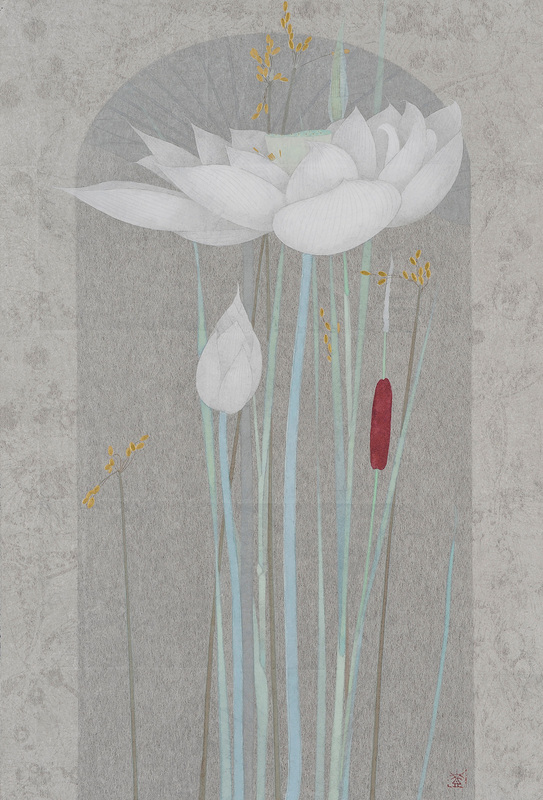 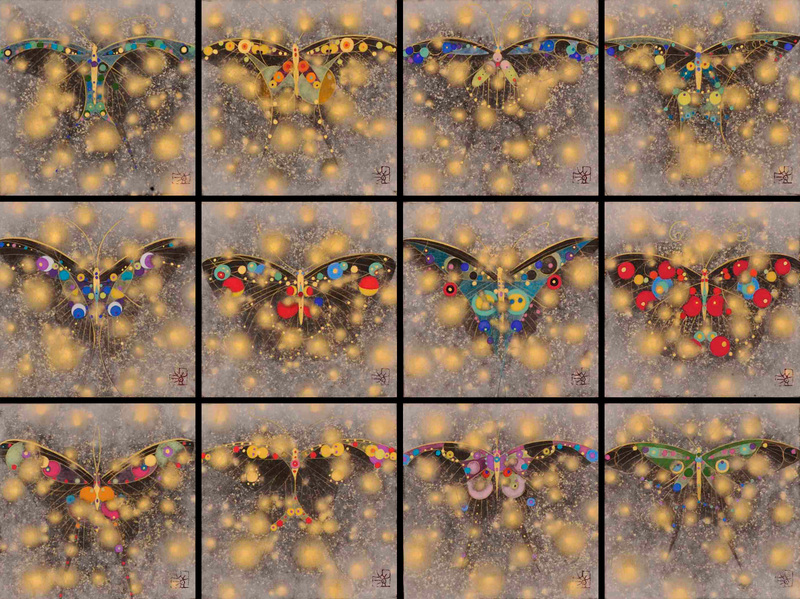 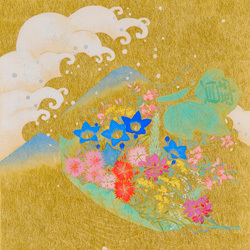 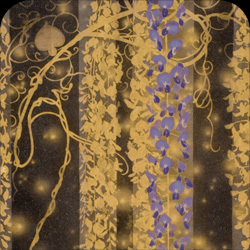 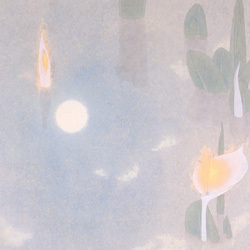 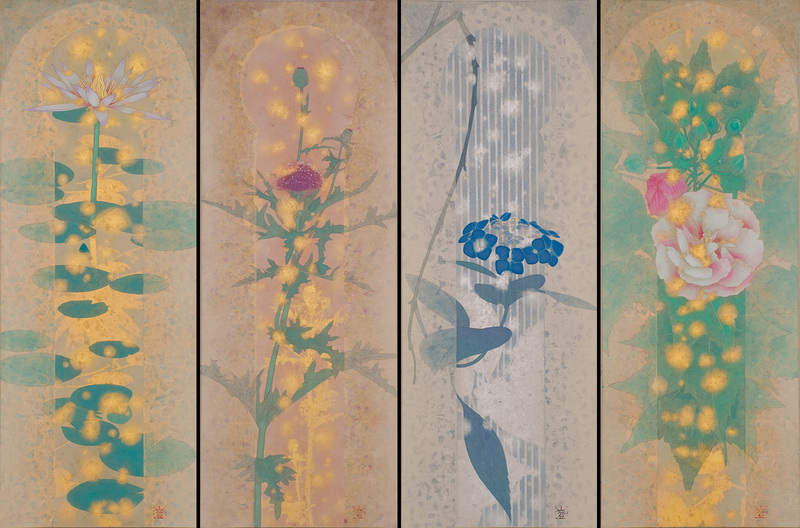 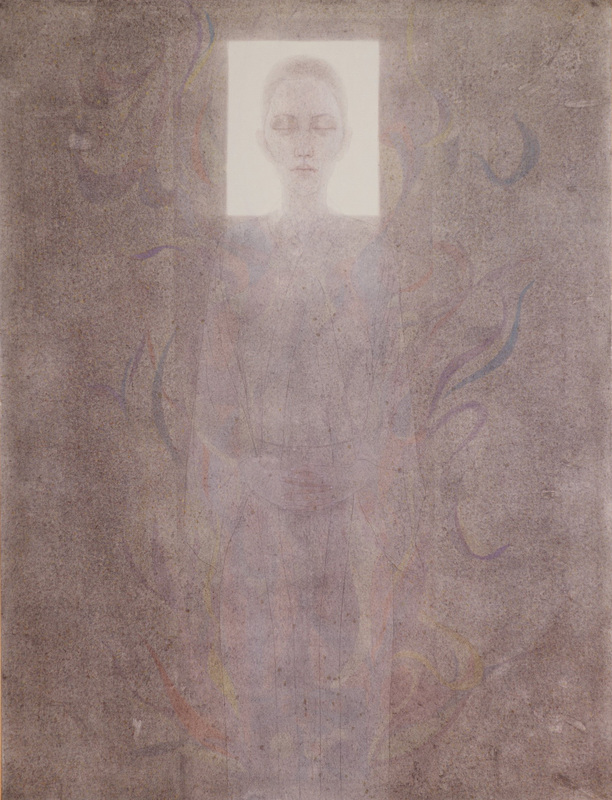 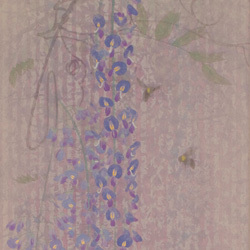 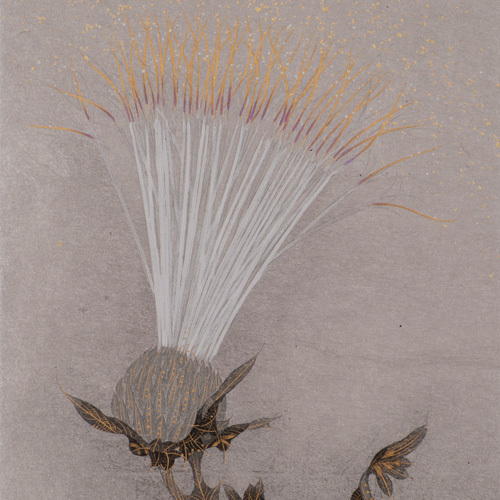 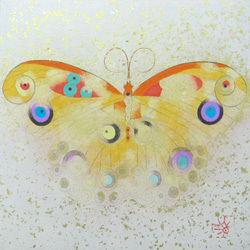 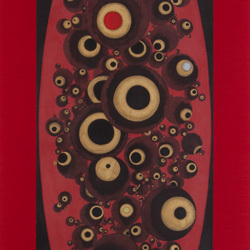 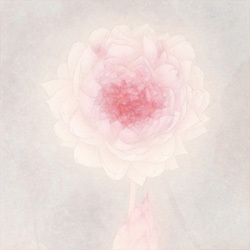 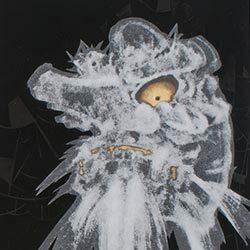 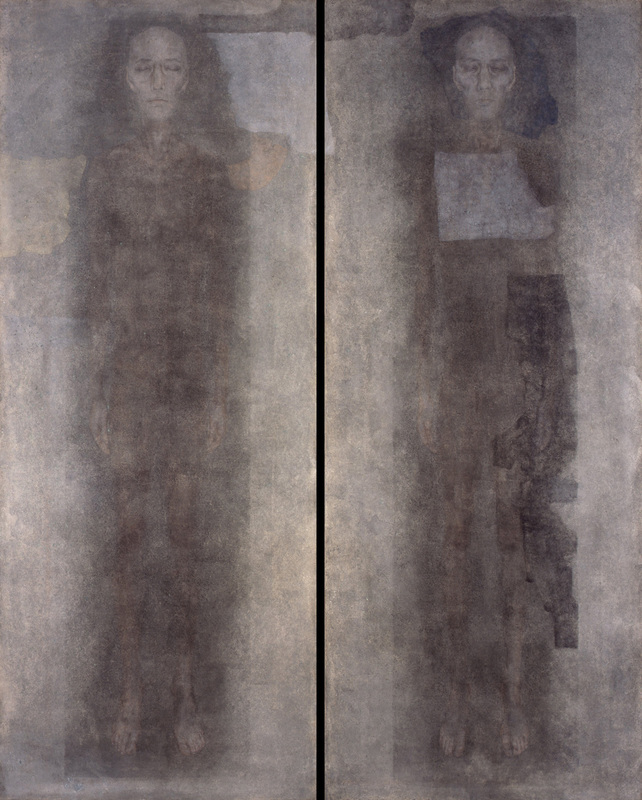 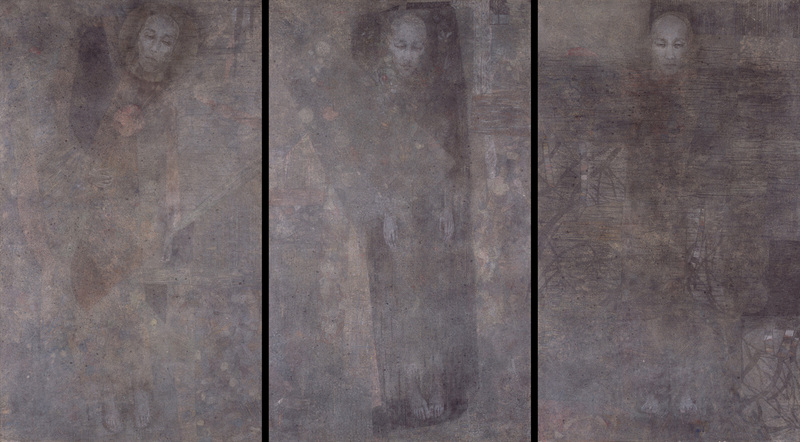 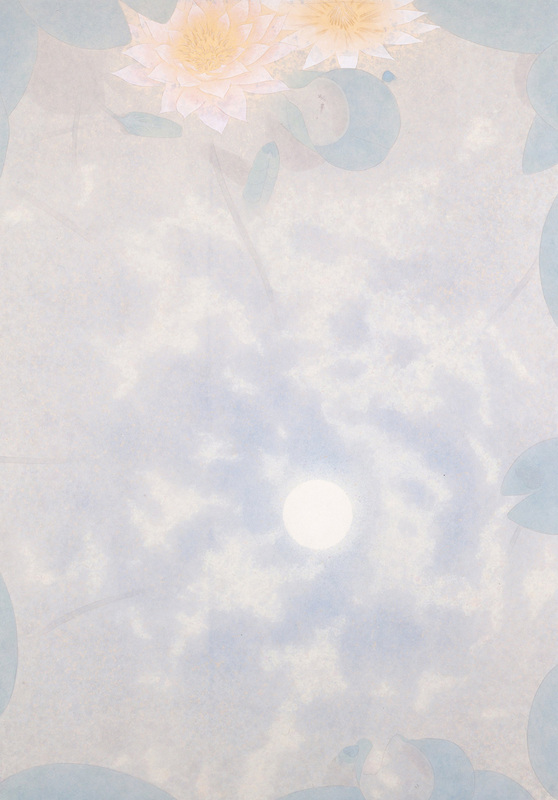 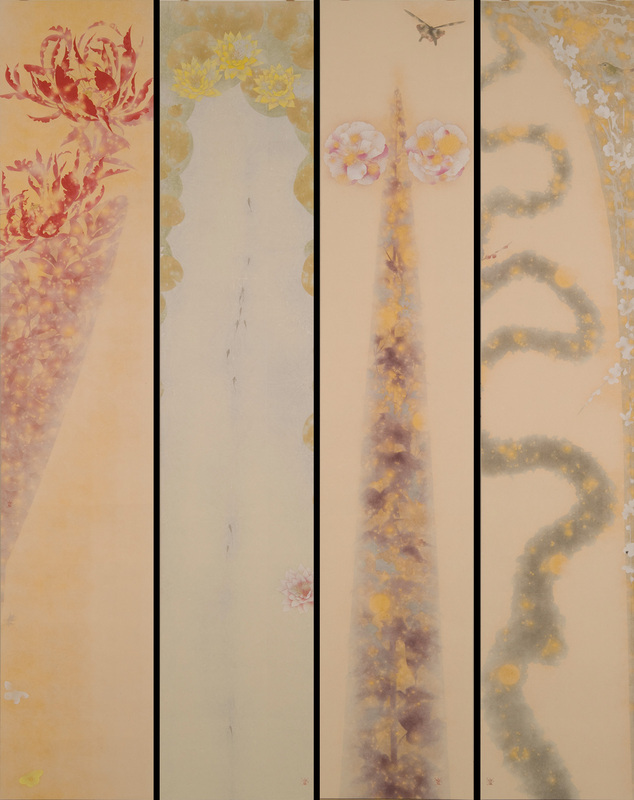 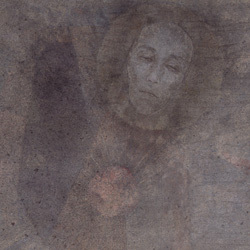 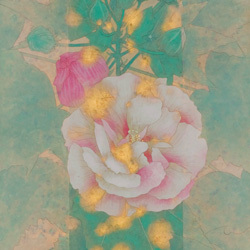 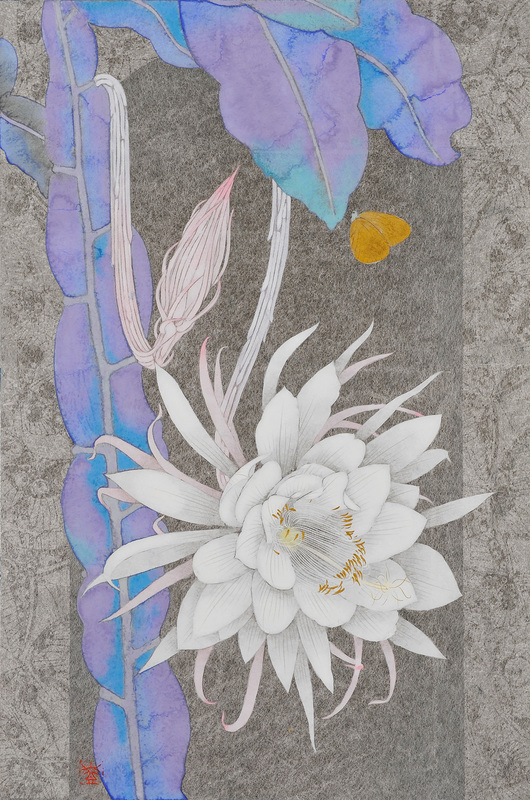 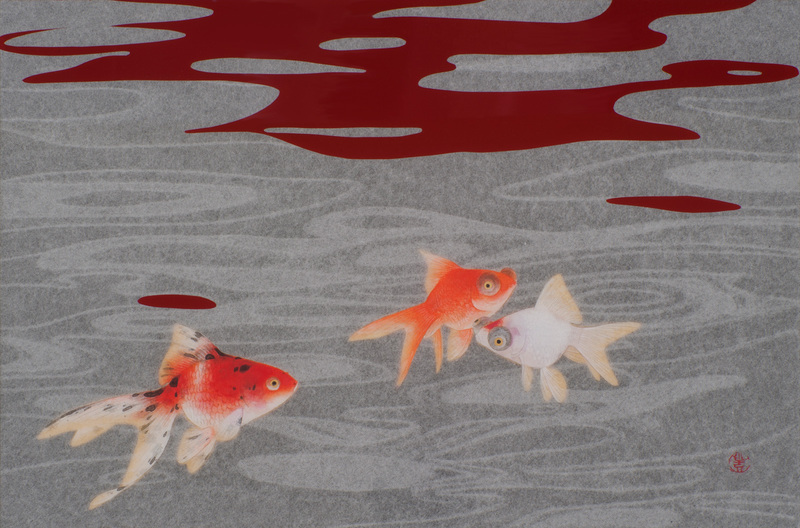 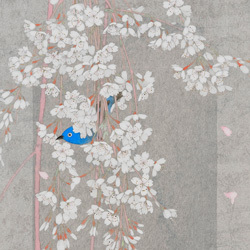 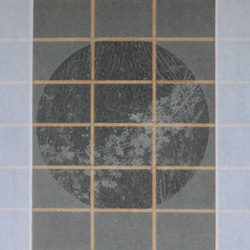 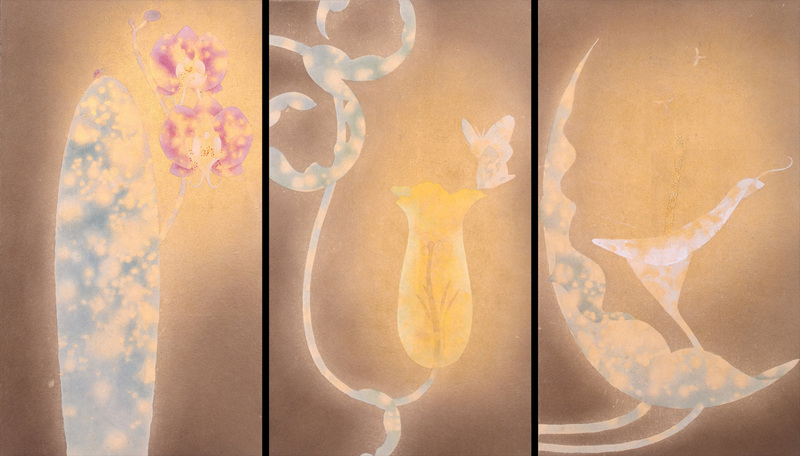 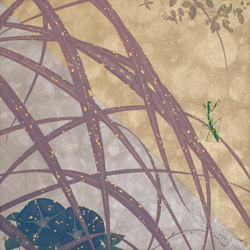 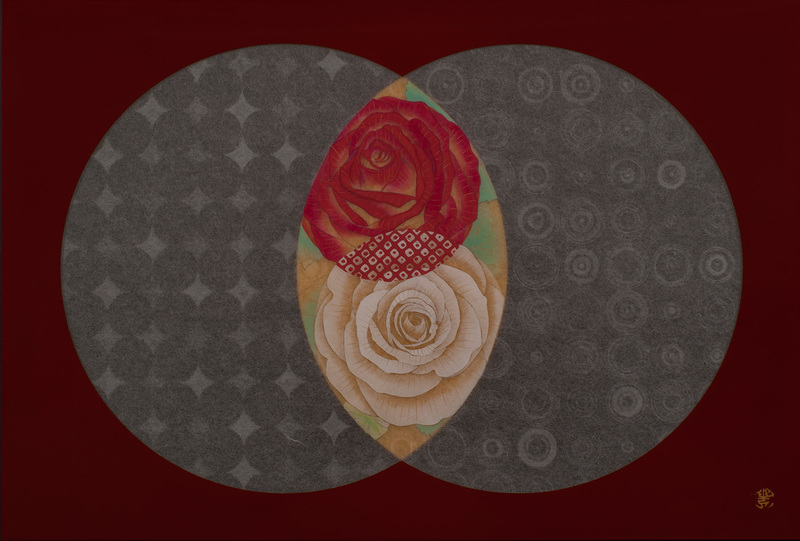 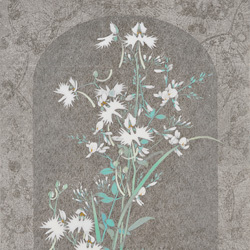 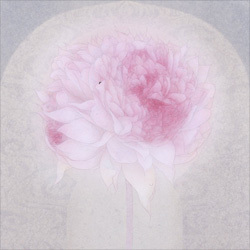 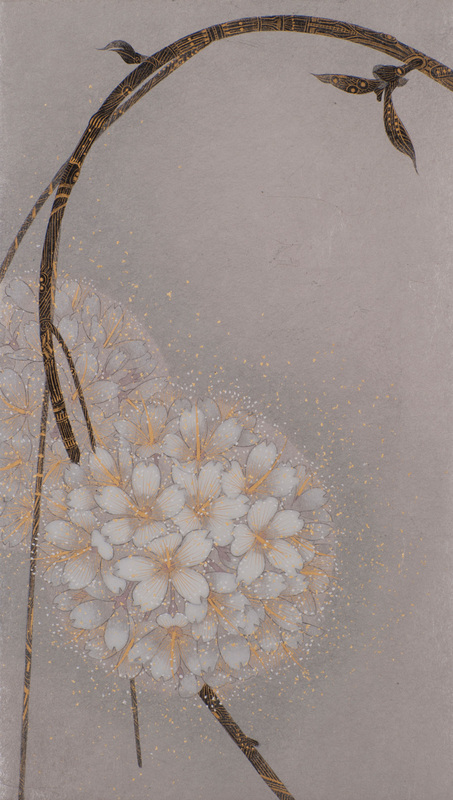 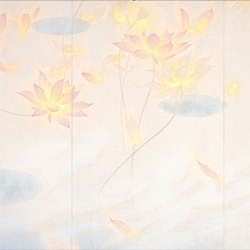 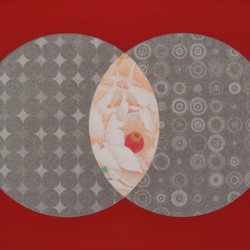 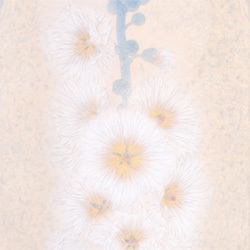 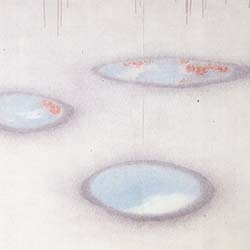 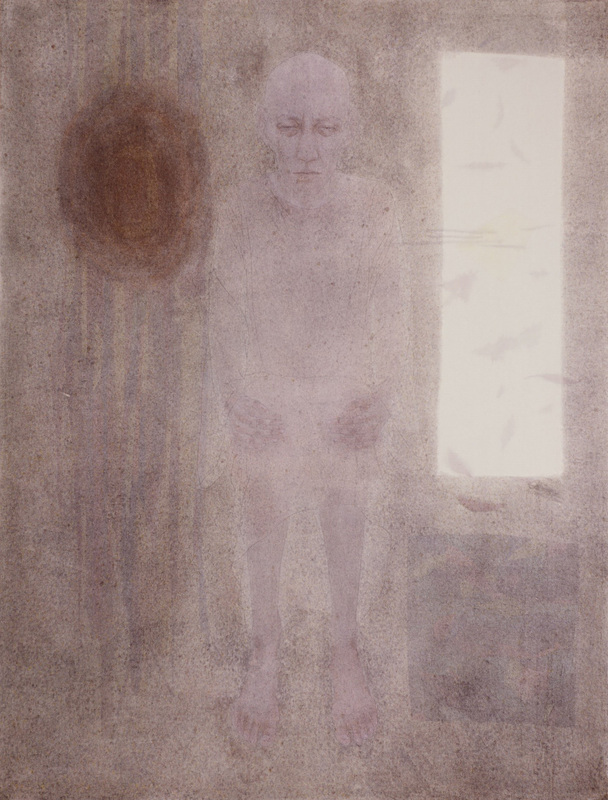 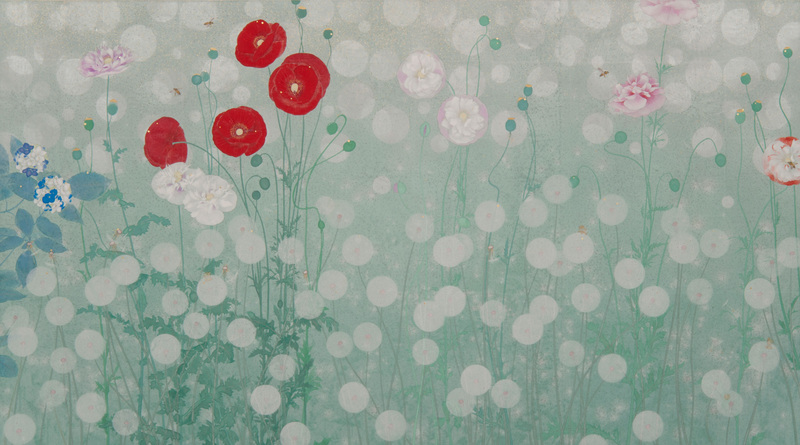 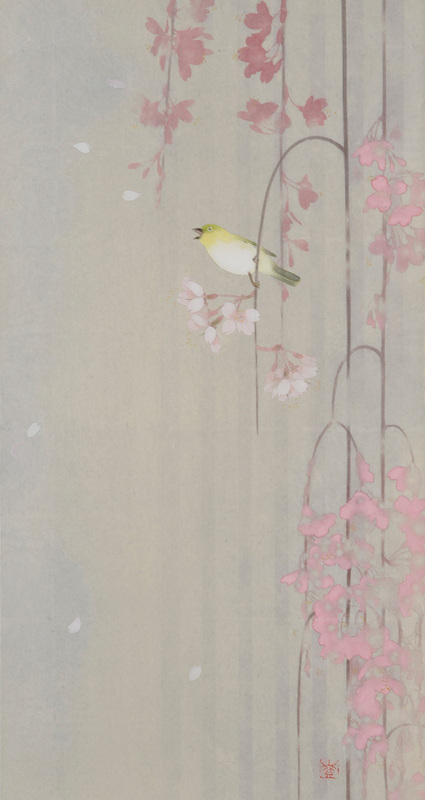 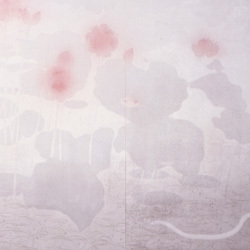 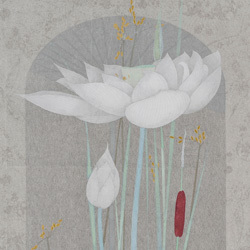 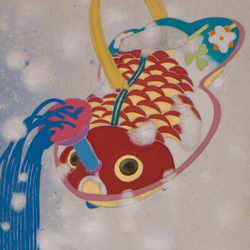 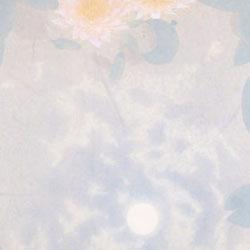 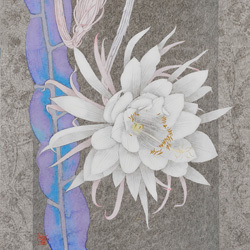 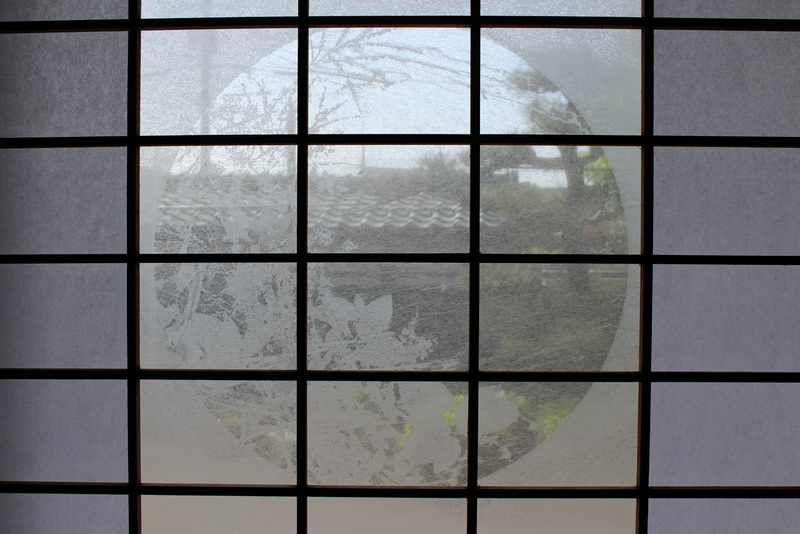 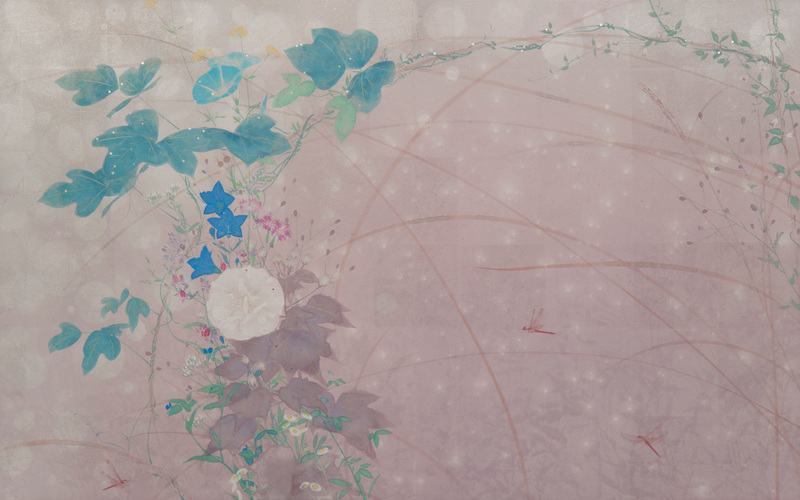 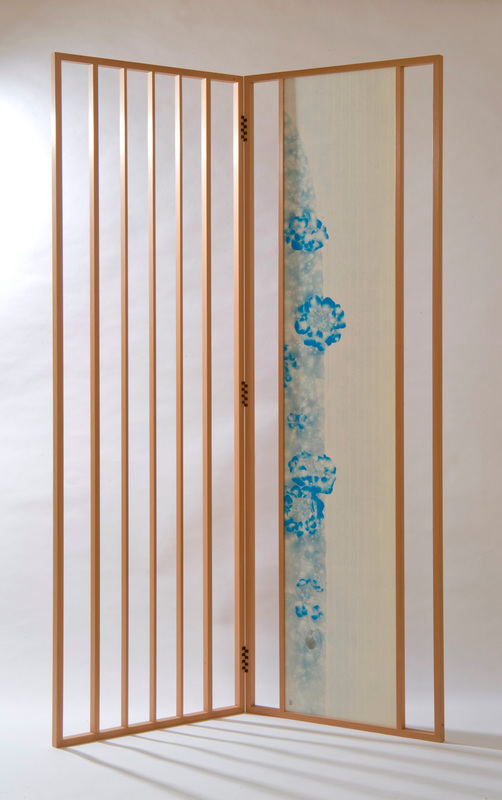 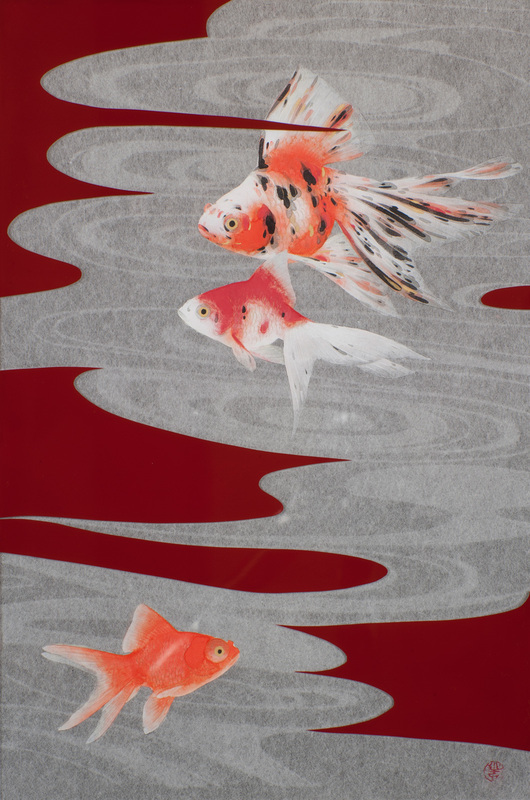 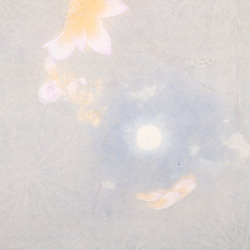 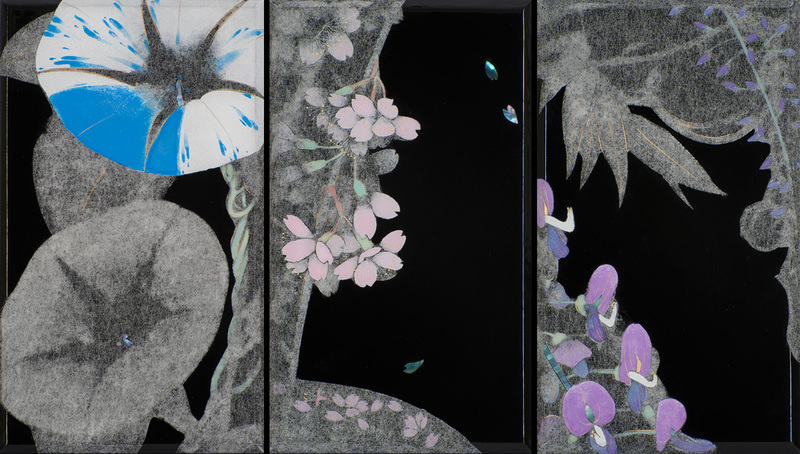 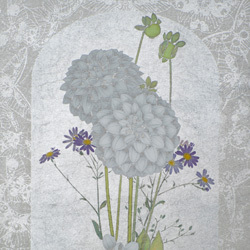 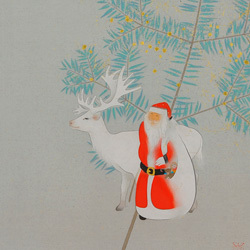 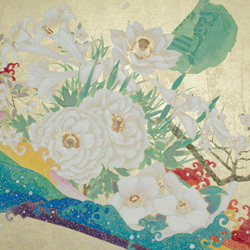 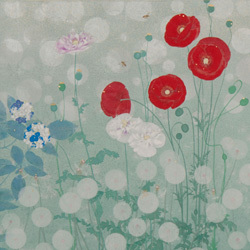 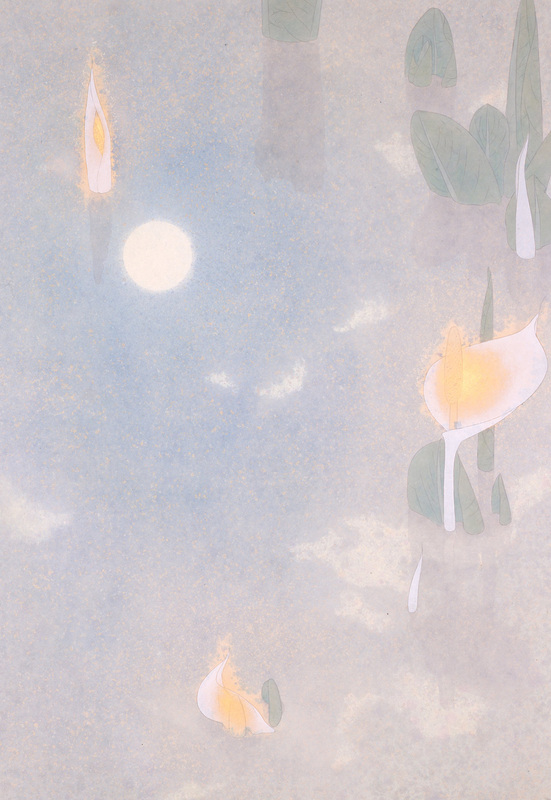 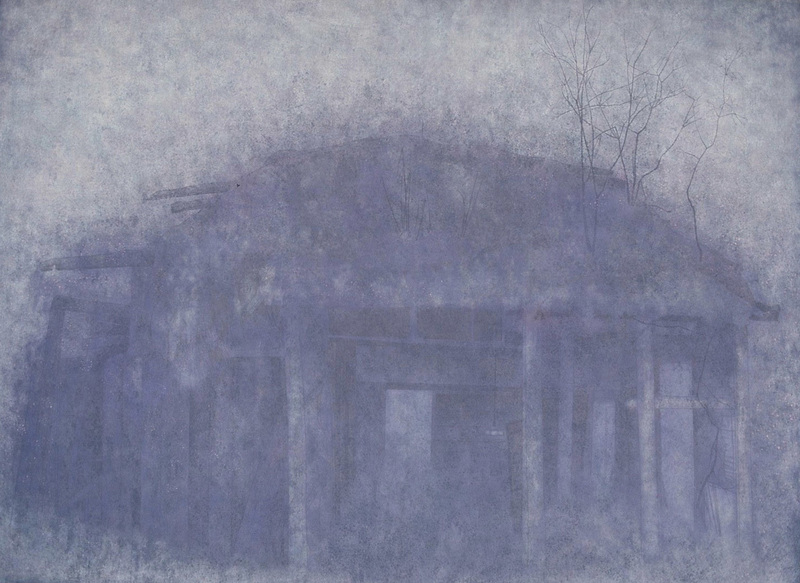 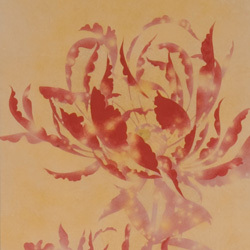 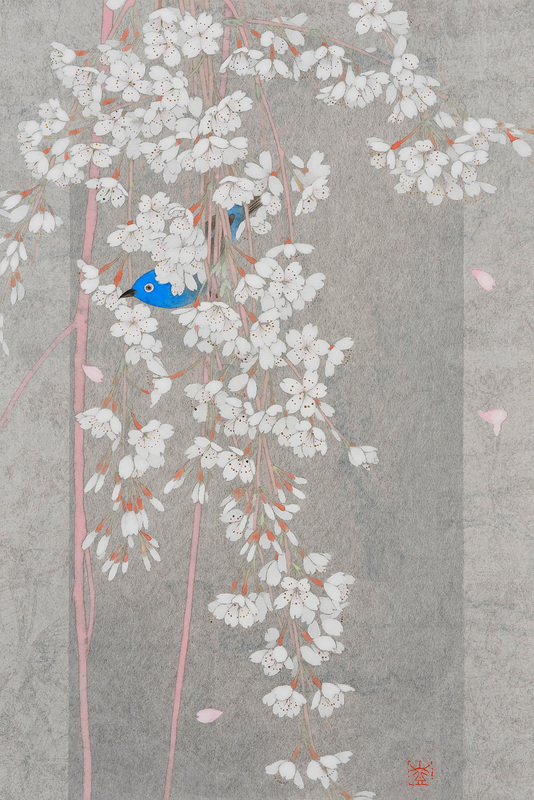 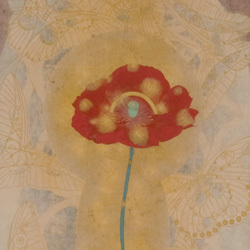 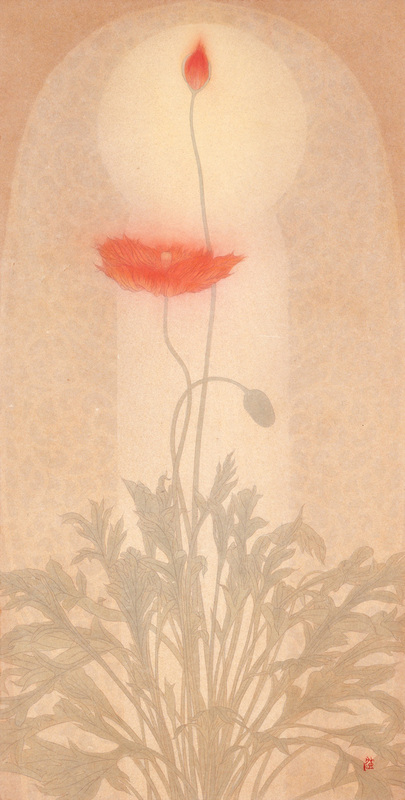 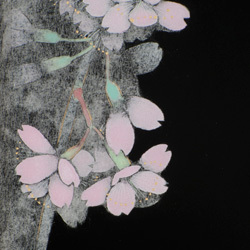 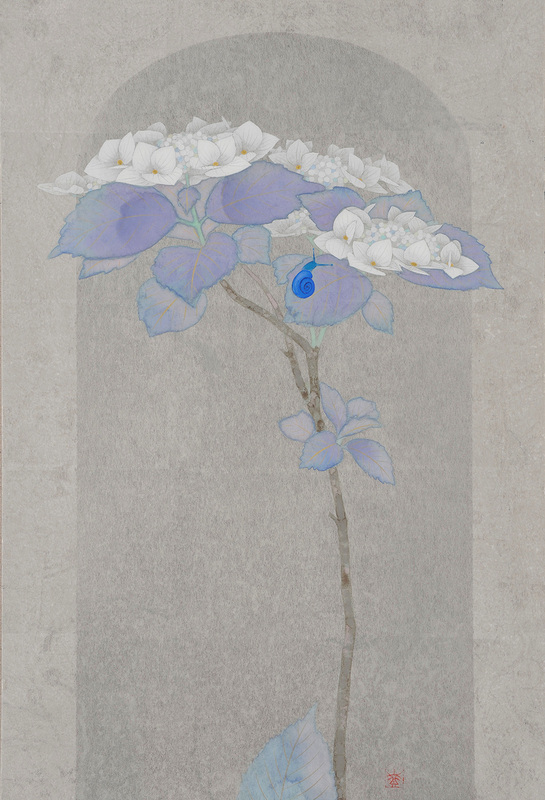 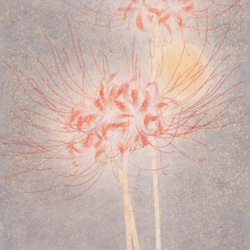 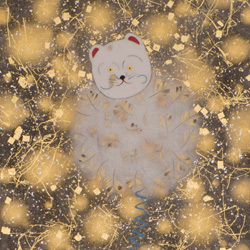 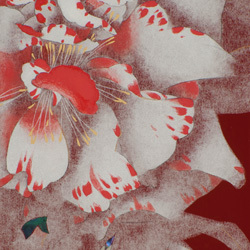 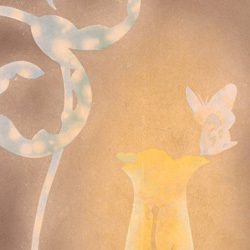 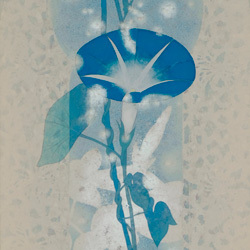 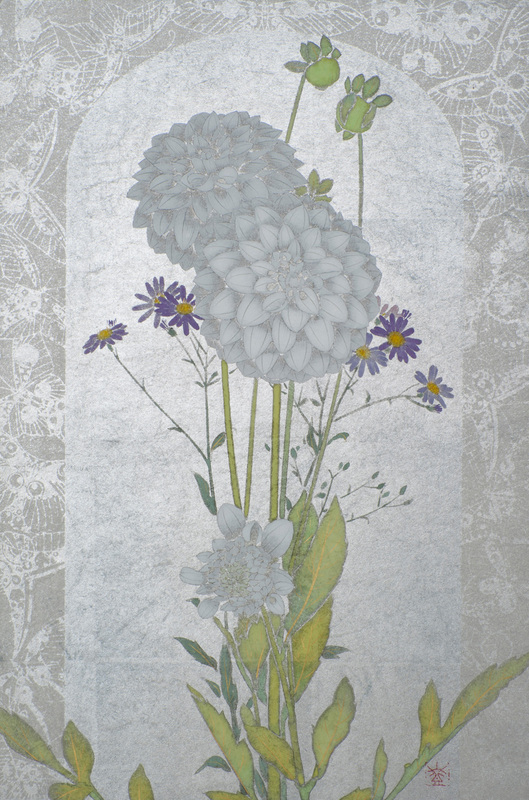 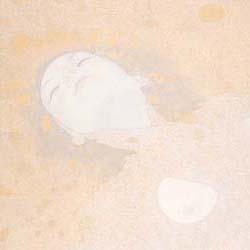 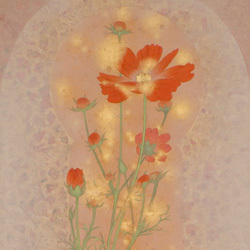 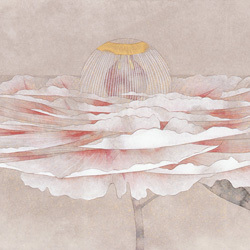 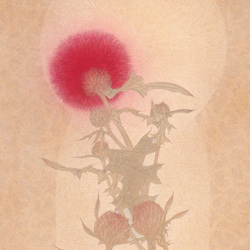 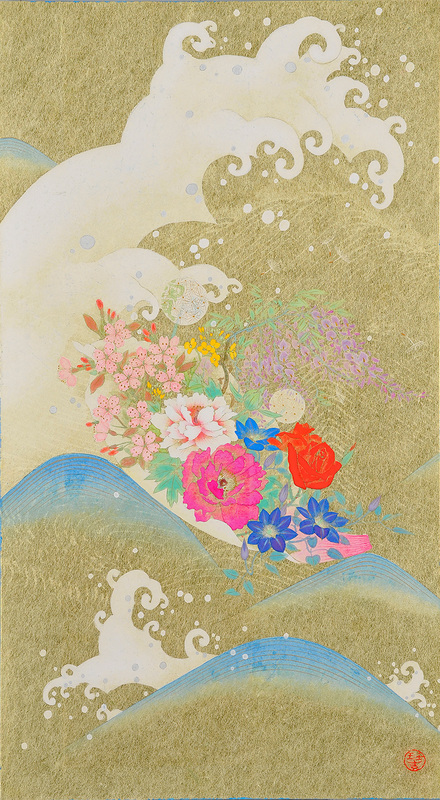 Nishijima's paintings evoke traditional Japanese styles, using natural materials (such as mineral pigments, ink, silk, and Japanese paper, washi). 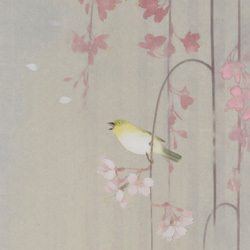 He was raised in an area surrounded by natural beauty. 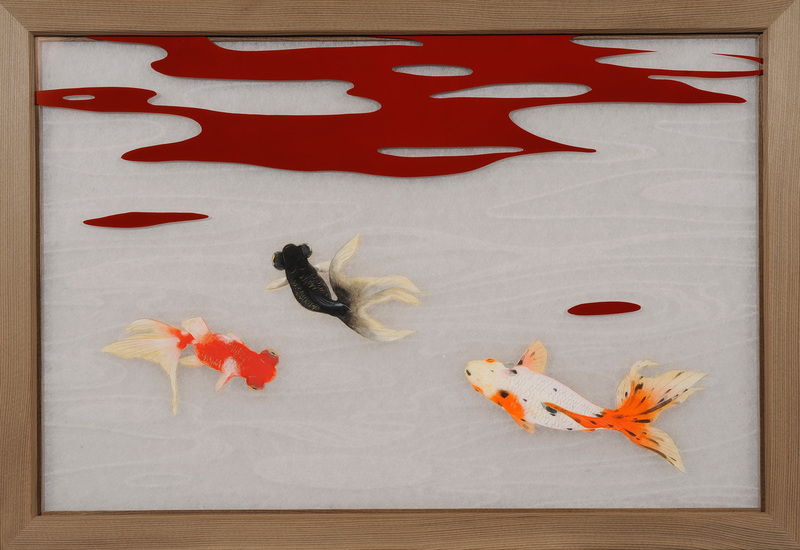 He cherishes Nature and is passionate about making the best use of natural materials in his work. 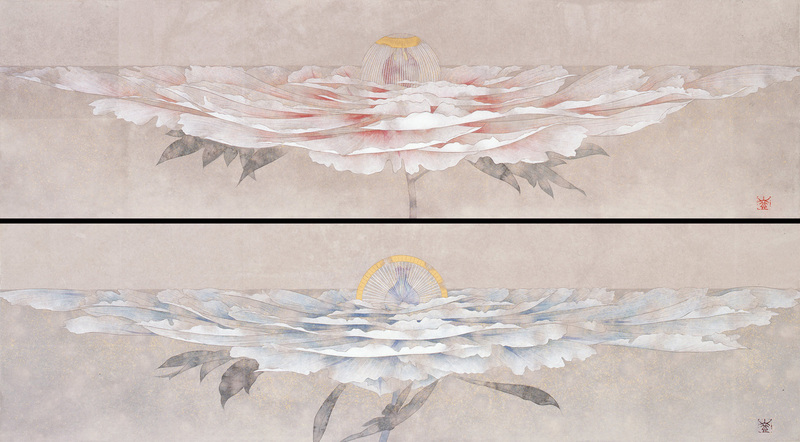 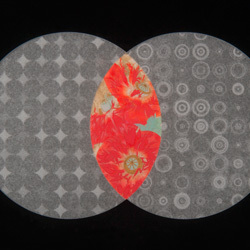 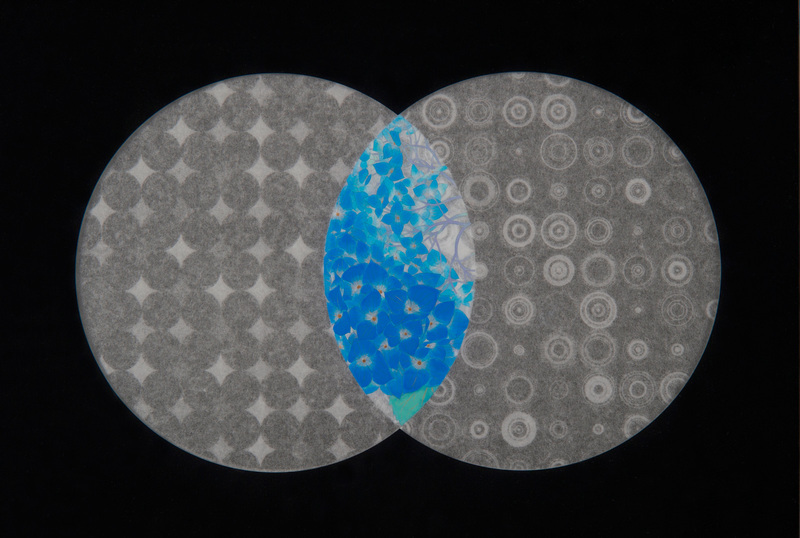 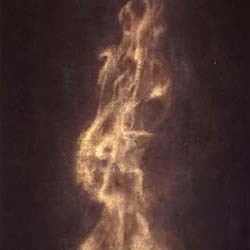 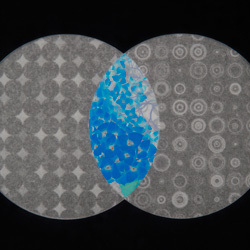 A technique used to create works of art through the use of two or more different types of material. 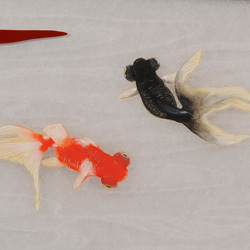 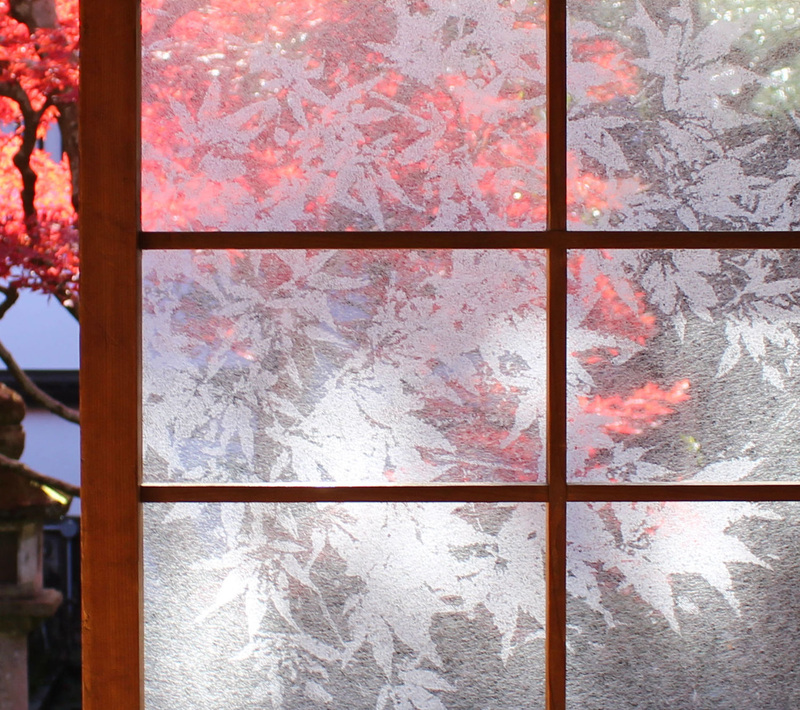 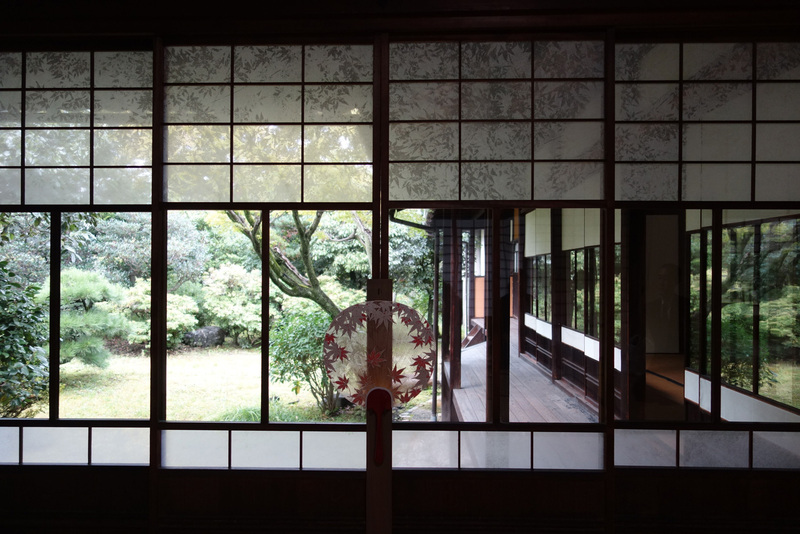 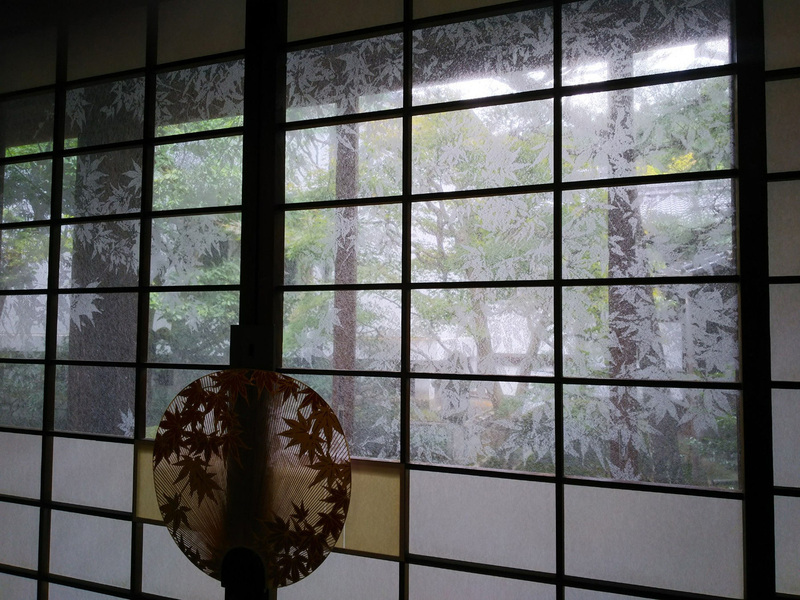 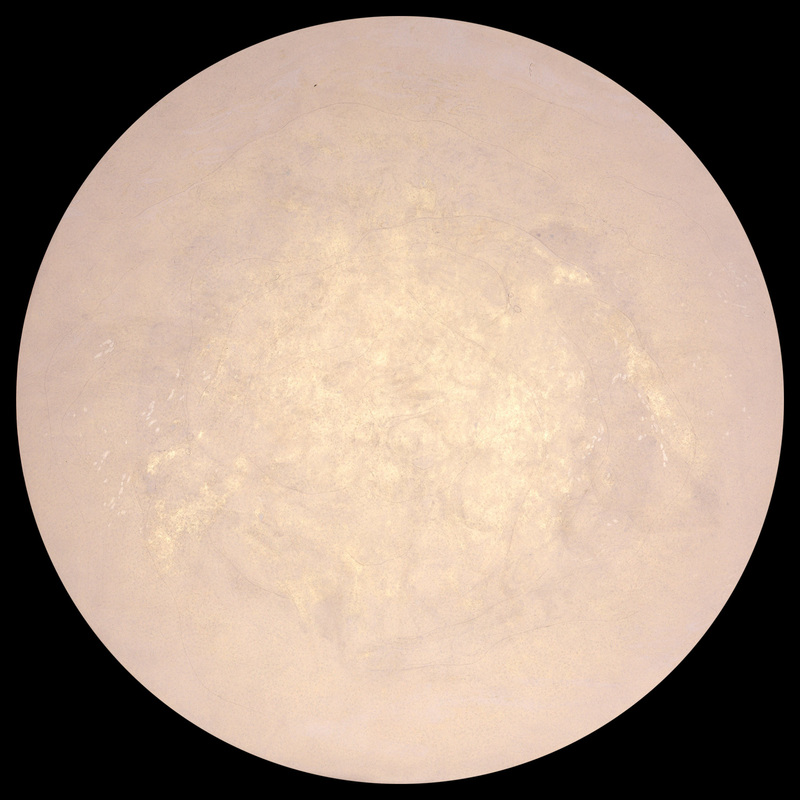 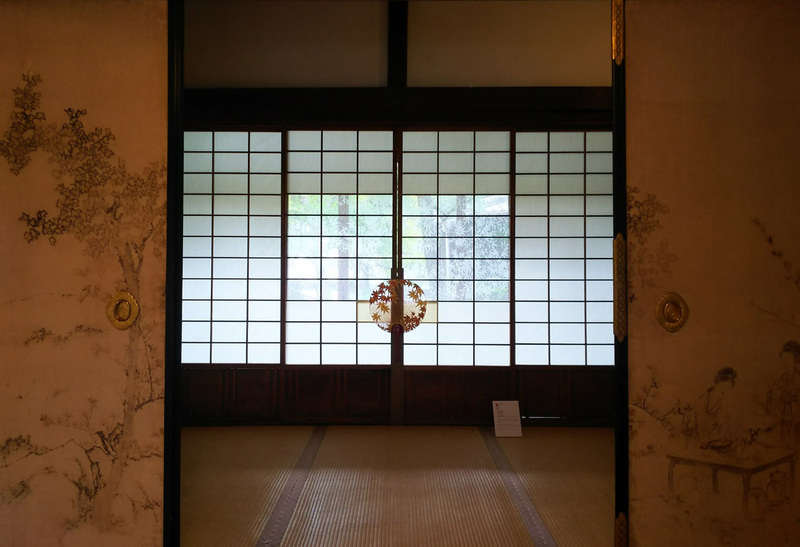 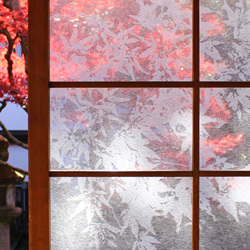 Nishijima makes innovative use of ancient Japanese materials, using Japanese paper, washi he has made himself and Japanese resin lacquer, urushi. 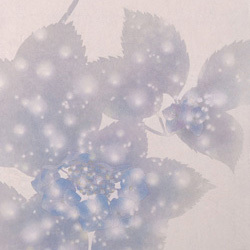 "Ewashi" is a word coined by Nishijima himself. 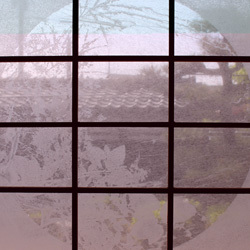 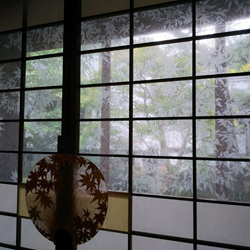 E means picture in Japanese and washi is Japanese handmade paper. 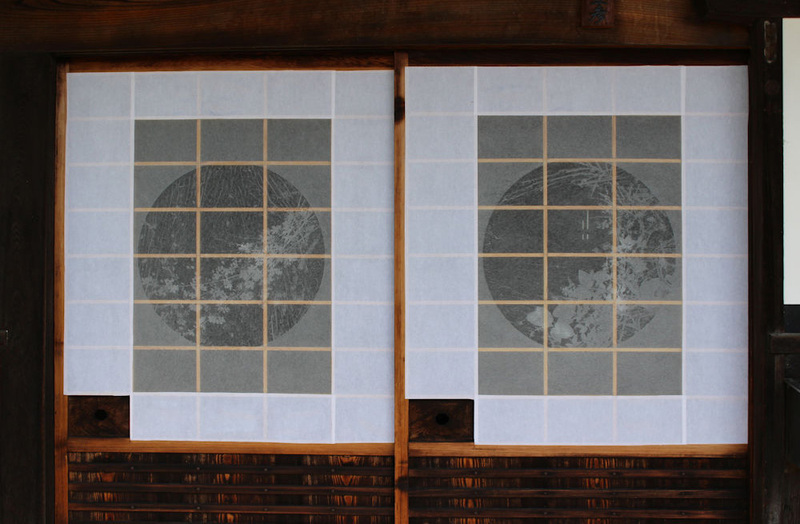 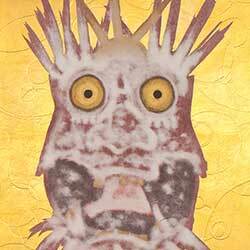 His pictures convey different expressions by using his own type washi that has different degrees of thickness in a single sheet. 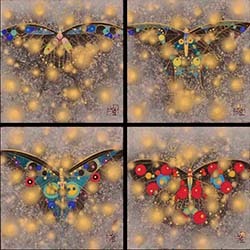 He creates and displays new and original artworks every year. Nishijima believes that you learn more about yourself by stepping out of your shell into the world outside. 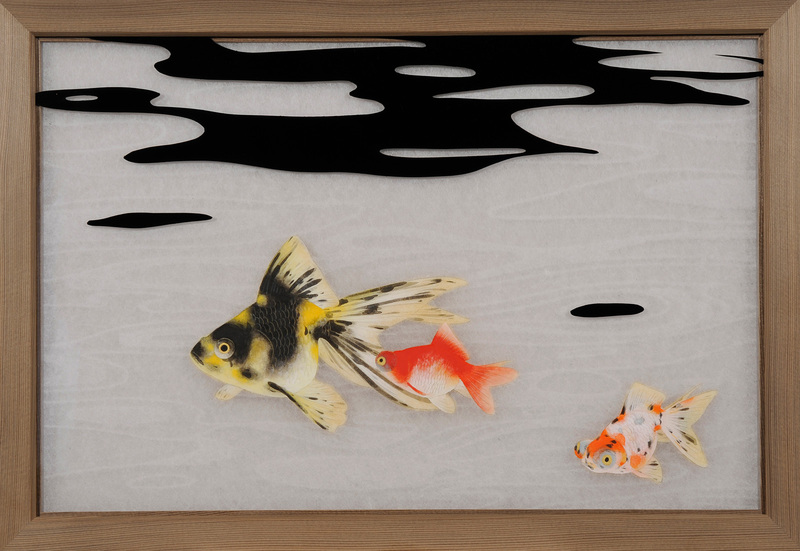 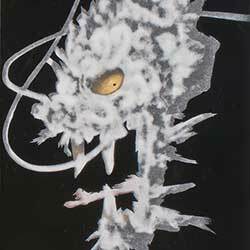 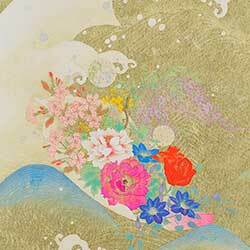 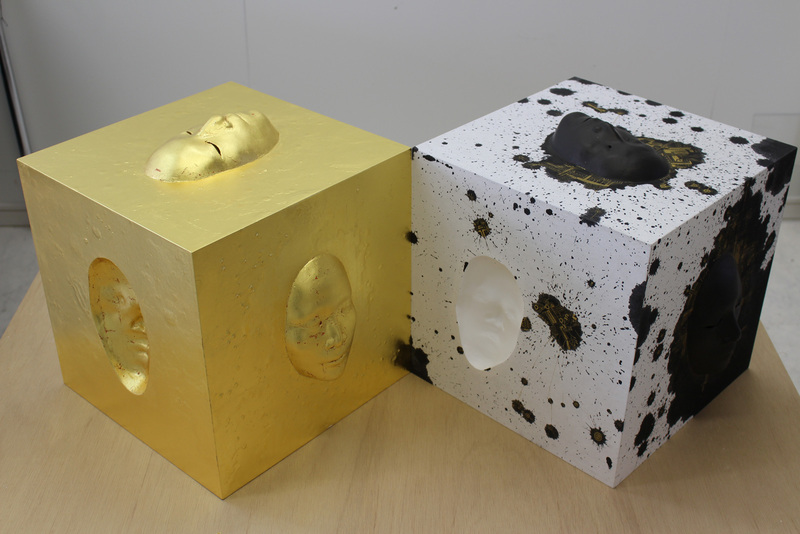 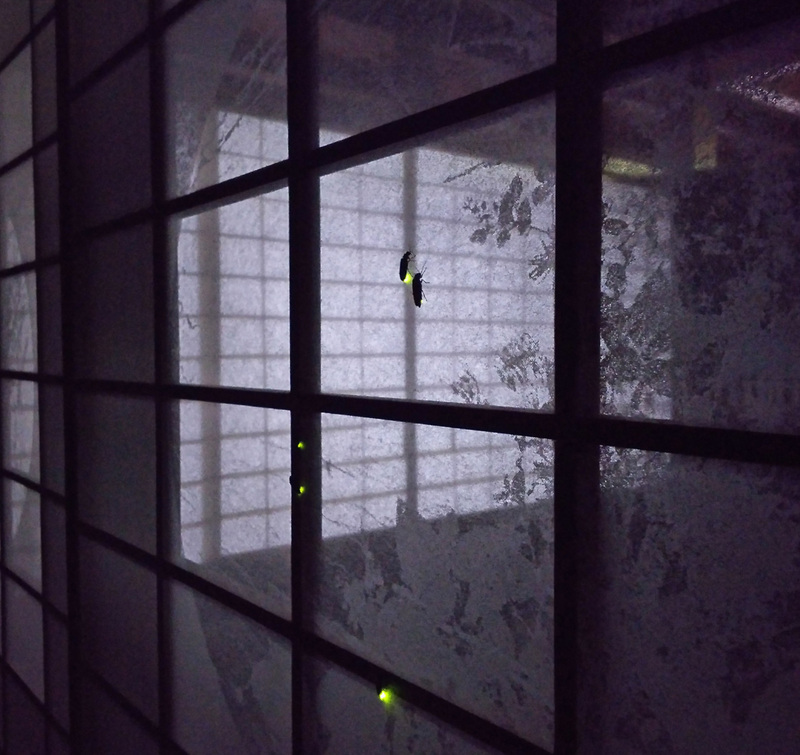 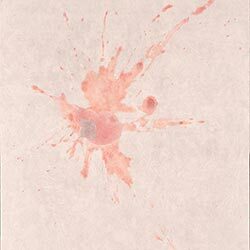 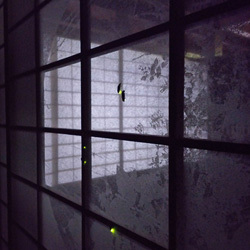 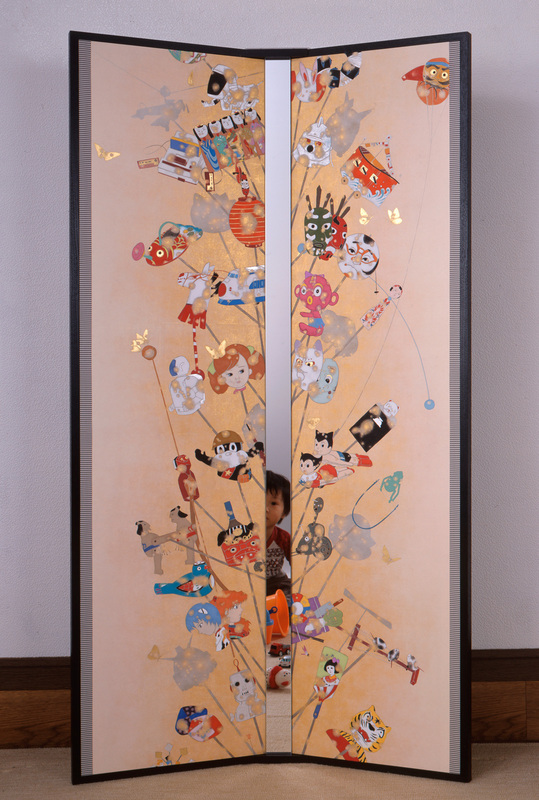 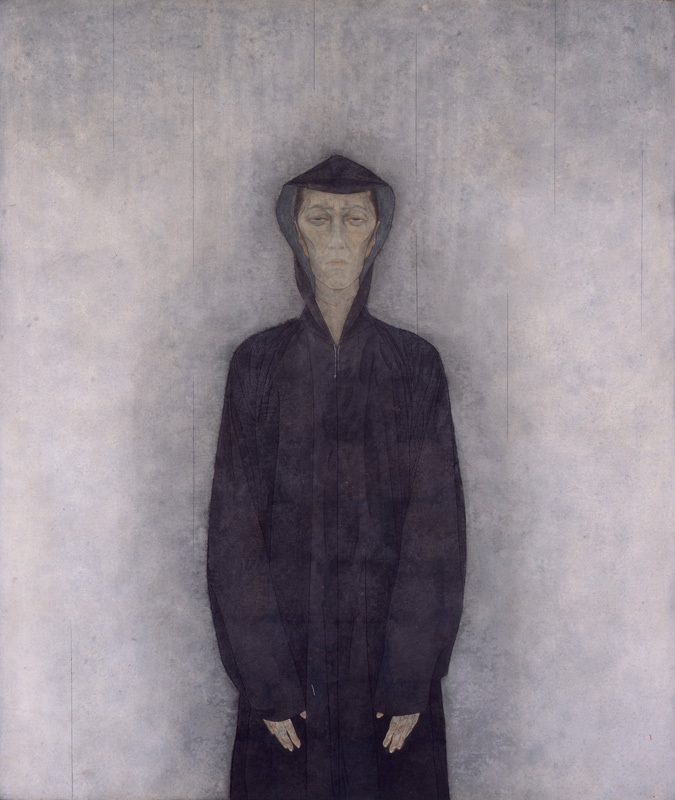 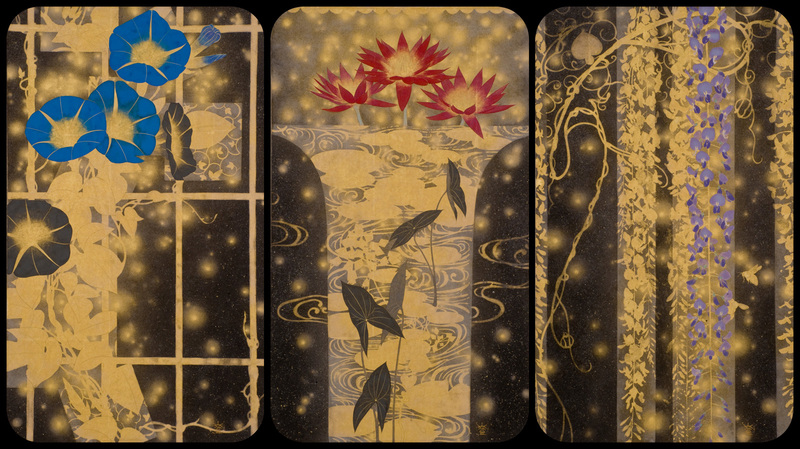 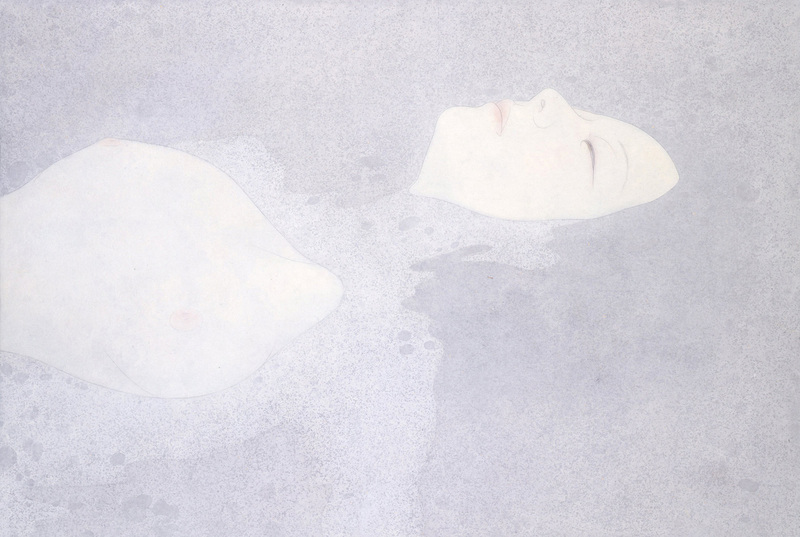 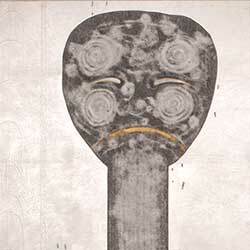 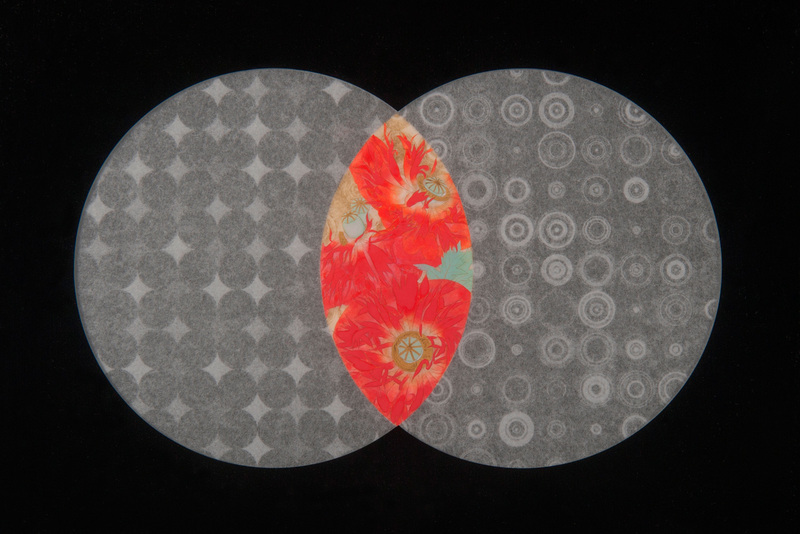 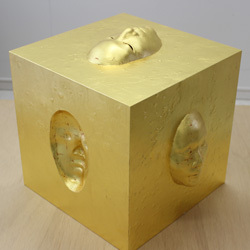 His works incorporate traditional materials but are unlike traditional Japanese paintings. 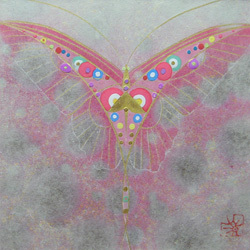 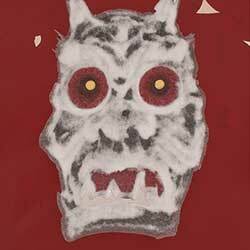 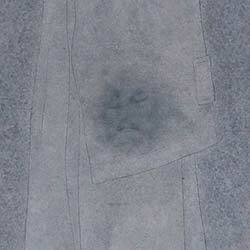 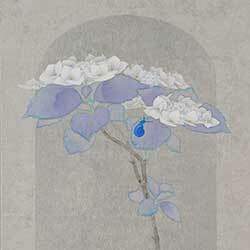 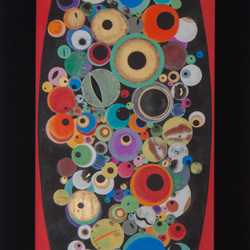 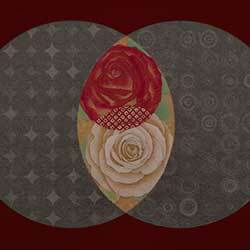 He displays them at exhibitions and overseas art fairs. 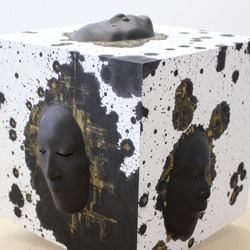 On a new stage, he challenges himself in the expression and creation of artworks that go beyond anything he has done previously.